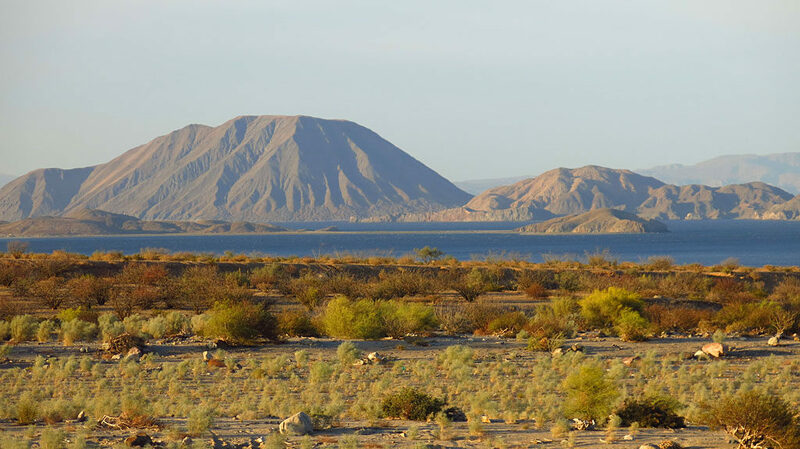 A time-wasting, time-lapse video taking a 72-mile shortcut in northern Baja California from Highway 2D, down the length of Laguna Salada, eventually meeting Highway 5 south of Mexicali. 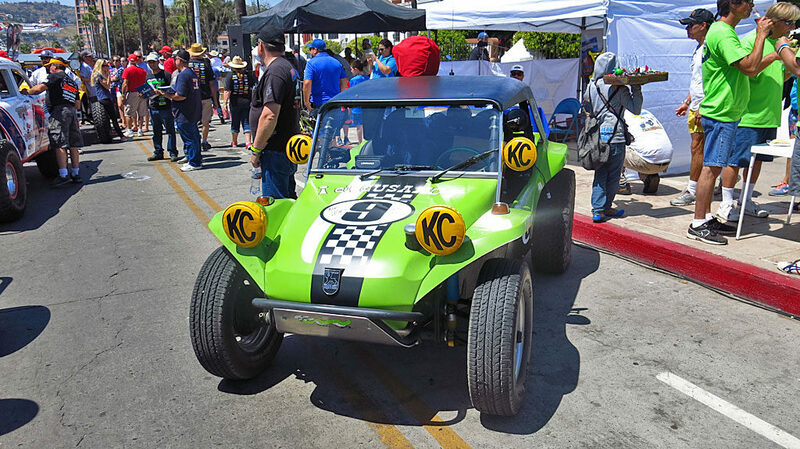 It began 50 years ago as the National Off Road Racing Association’s Mexican 1000, beginning in Tijuana and racing from Ensenada to La Paz. 68 vehicles started the race competing in four classes. 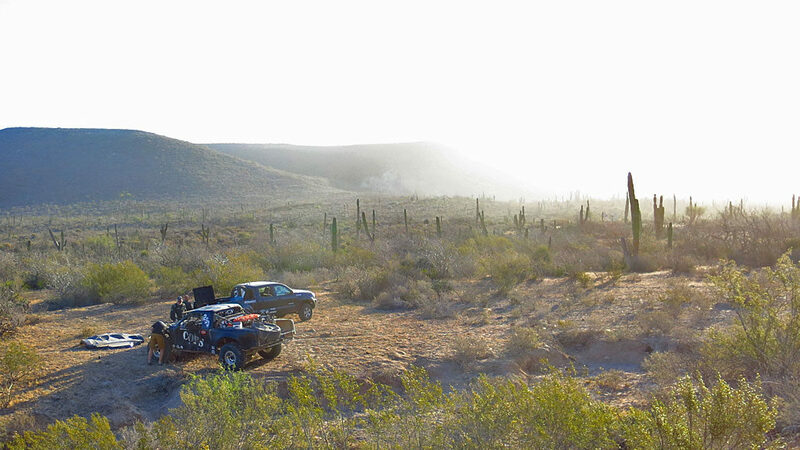 This year, SCORE-International is the sanctioning body for the race named the Baja 1000, with a 1,134 mile run from Ensenada to La Paz with more than 400 entrants. (course map). 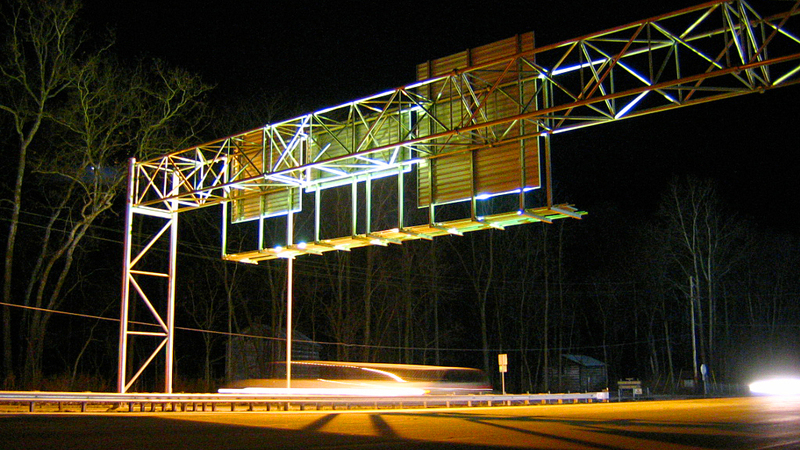 Racers have 48 hours to complete the course which means everyone will be driving through a night. The slower classes and cars with problems will be racing through two nights. 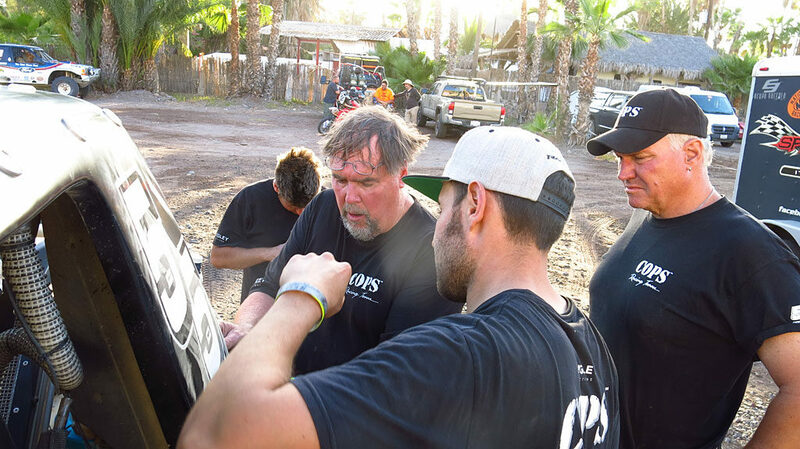 No matter how you slice it, racing in the Baja 1000 involves a really long day. 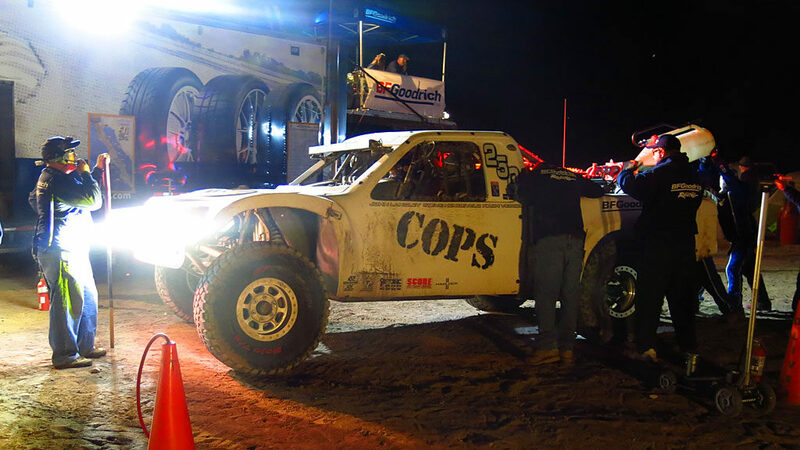 Cops Racing Team entered three cars in the race: Trophy Truck #50 driven by Zak Langley, the Class 1 #150 driven by Morgan Langley, and the Mason Trophy Truck Spec #250 making its inaugural run, driven by Team Owner John Langley. 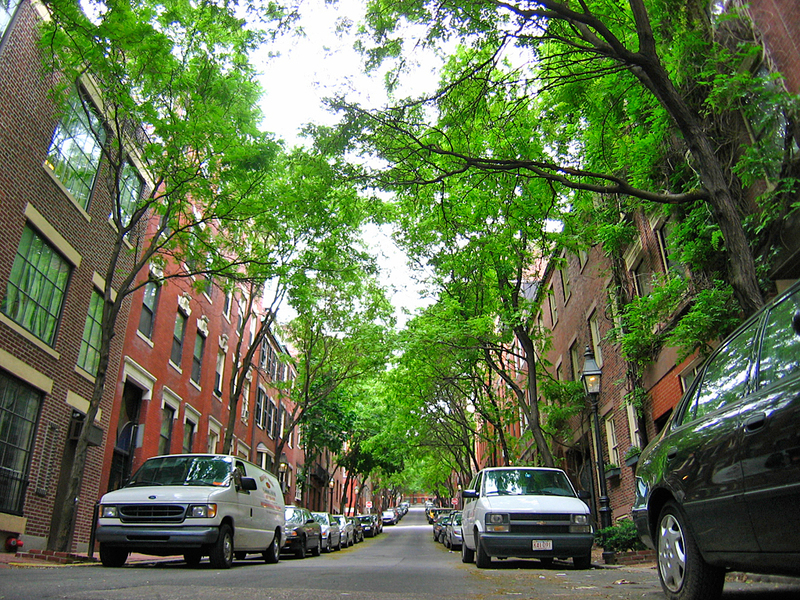 Each of the three cars would have three drivers to move it down the peninsula. “Prerunning,” aka “practice,” aka “course reconnaissance” — running the course in advance of the race to see what’s out there. Unlike race day, prerunning is much more relaxed and can include an occasional fish taco. 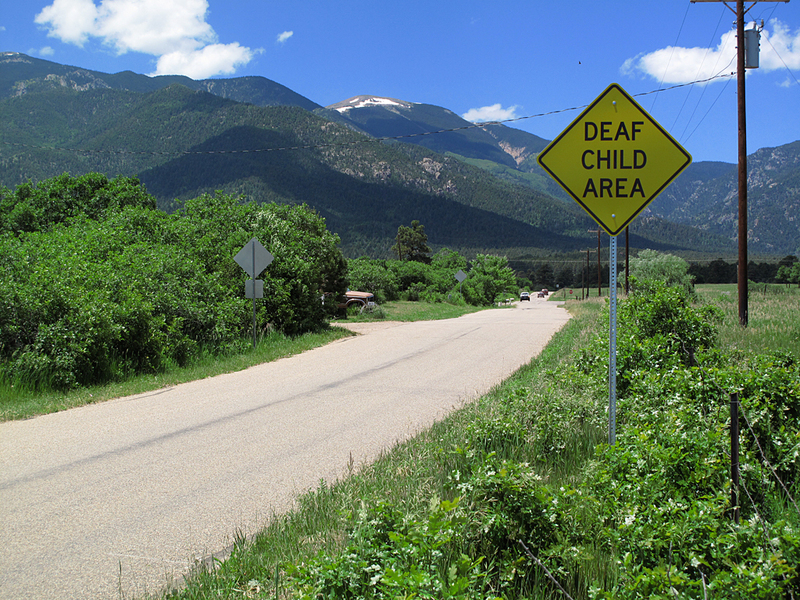 Drivers make notations of the course on the GPS, marking areas which require special attention, such as big rocks, or surprise turns, or silt beds, or goats — the list is endless. 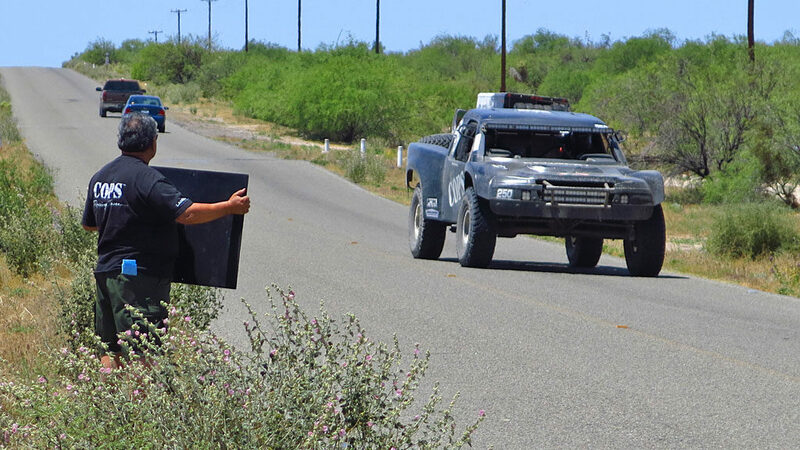 The COPS prerunners between Loreto and La Paz were essentially the same cars as the race cars. 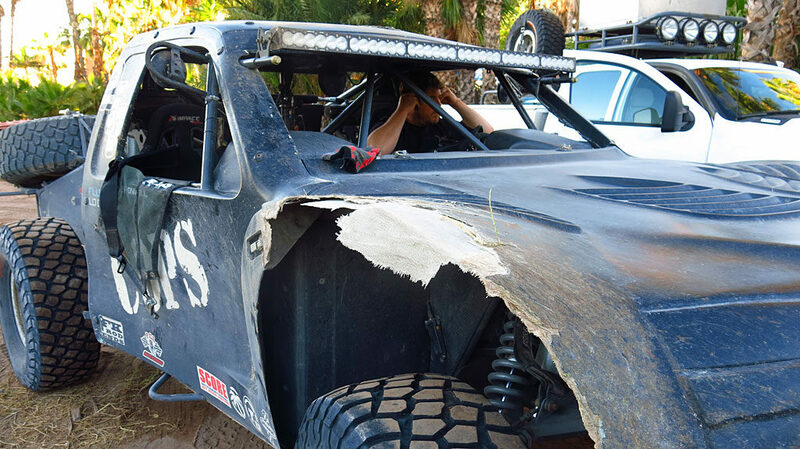 Once drivers got the feel of the race course in the prerunners, the transition into a race car was seamless. Mike, Zak, John and Josh stopping for a bottle of water and a rest north of Ciudad Insurgentes. Friendly locals pass by with a truckload of hay. 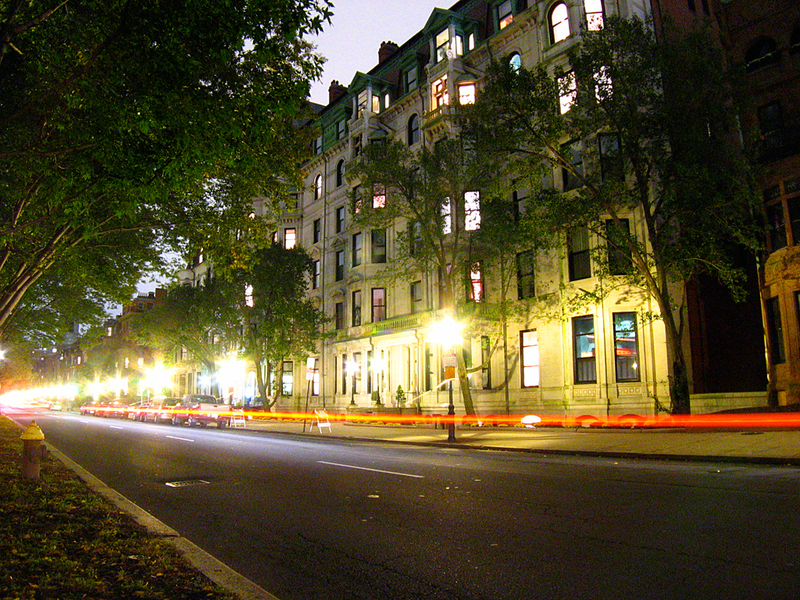 30 minutes later, they passed by again in the opposite direction, but with an empty truck. 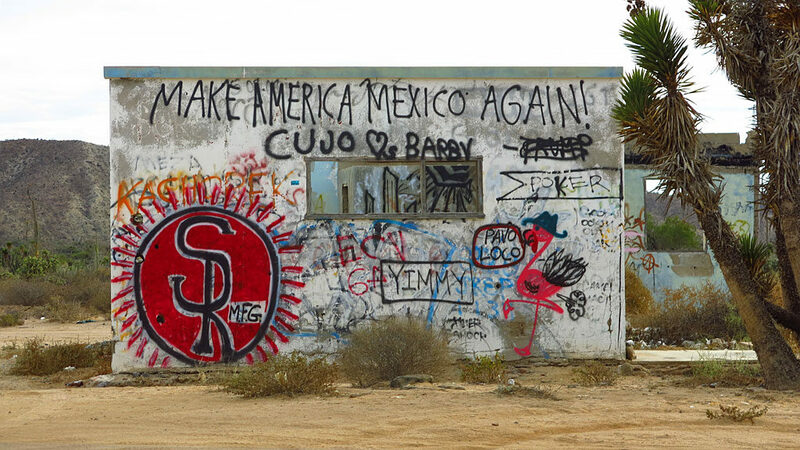 400 miles down Baja, Mexicans have a slightly different vision than the President of the United States. 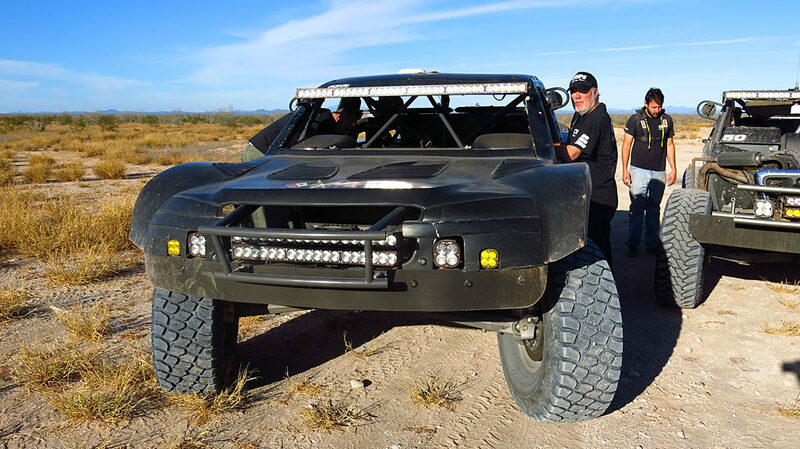 John’s Trophy Truck Spec prerunner — very similar to the all-new #250 Mason truck he will be driving in the race. Every time we stopped while prerunning, locals would show up, seemingly out of nowhere, to look at the cars and take photos. Of course, this gave us the opportunity to hand out steekers. 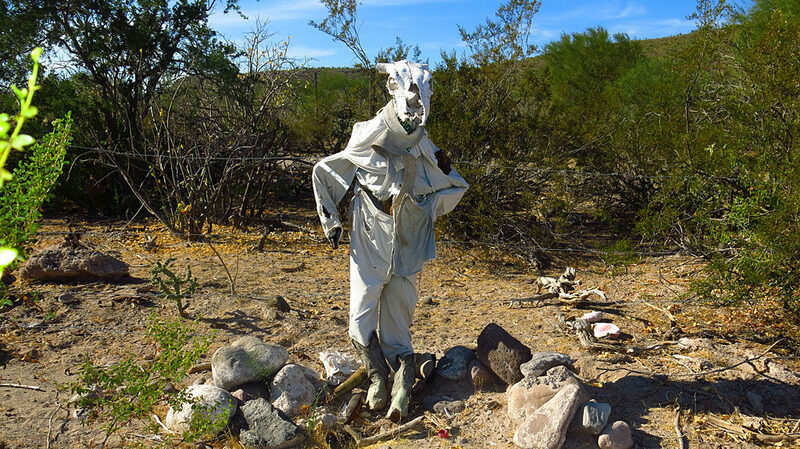 Goat season in Baja. 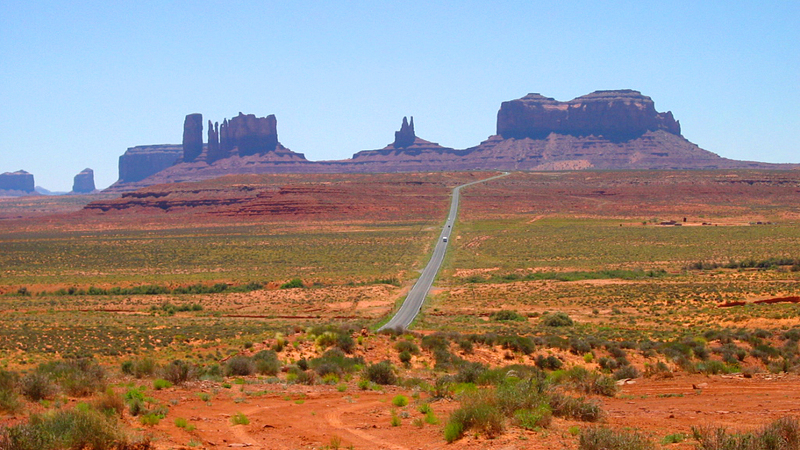 Here, a flock migrates from over there to over there, with little regard to highway traffic. Josh and Mark fueling the prerunners at the same place the race trucks will take on fuel during the race: the future location of BFGoodrich Pit #8 at Santa Rita, Race Mile 1013. Morgan makes a low-key departure after fueling. His destination is La Paz, 120 miles away. A local videos John’s equally stealthy departure after fueling. 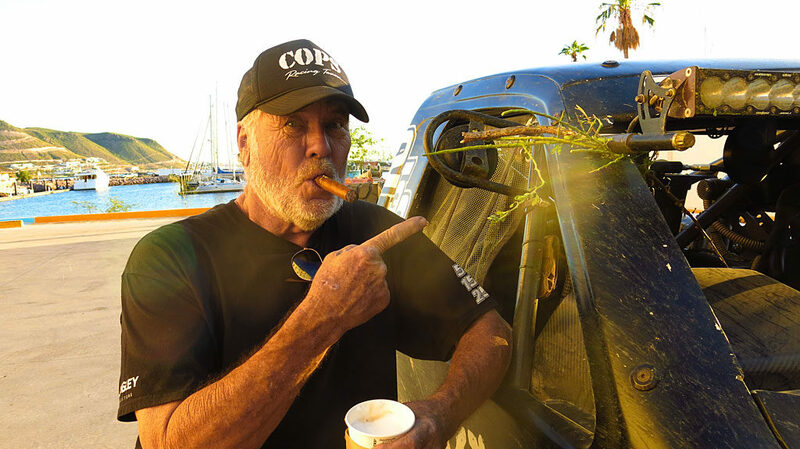 In the parking lot of the La Paz Hyatt, John shows off the tree he nailed while prerunning (among other things which we won’t go into at this time). 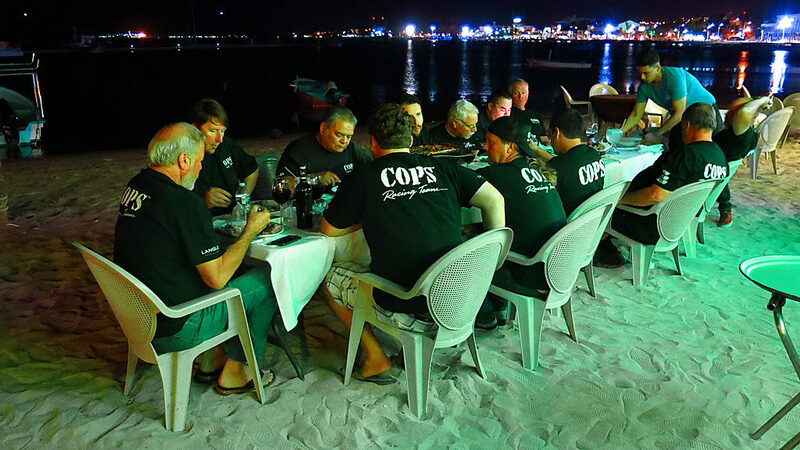 We celebrated our first night in La Paz with a team dinner on the beach at Stella’s Cucina Al Forno & Beach Club, an exceptional Italian restaurant. Sunrise over Island Carmen offshore from Loreto. Our prerunning day begins. 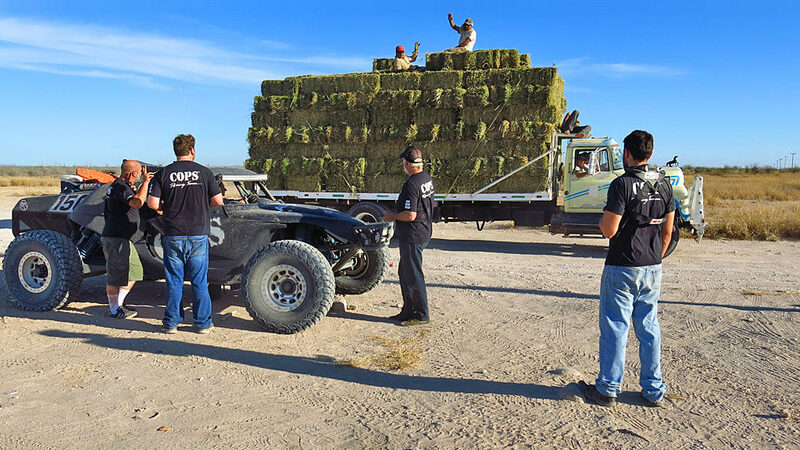 COPS arrived in Loreto before most other teams, but on the weekend prior to the race, the hotel parking lot was filling up with other teams’ prerunners. 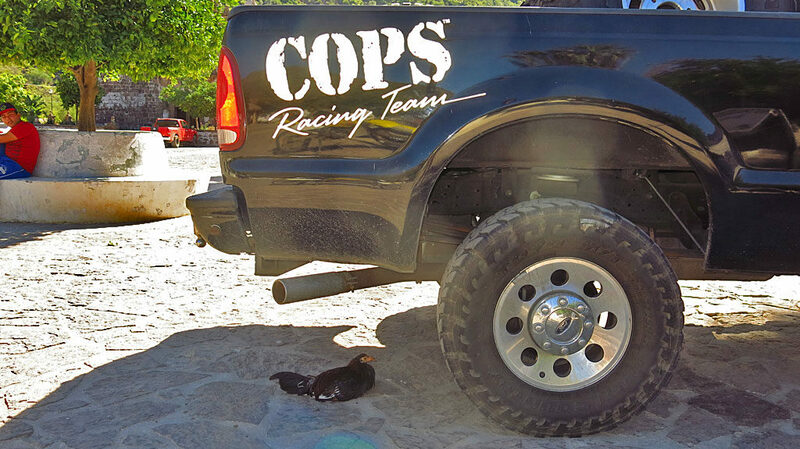 Chickens, as it turns out, are big fans of COPS Racing. Early morning in the parking lot of the Mision Hotel. 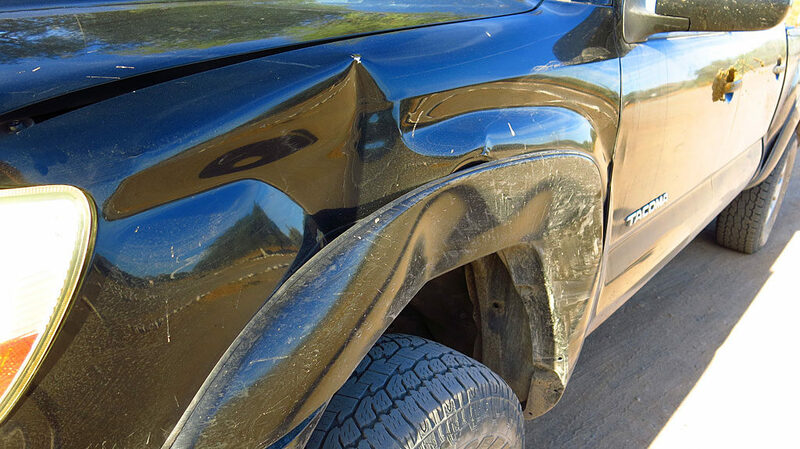 Note the damage to the front right fender of the prerunner, and remember that damage. Time to use your short-term memory. 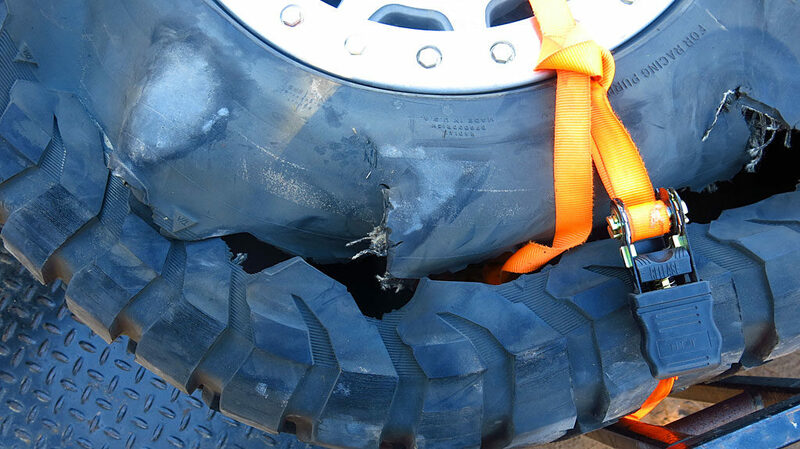 Excessive tire wear can lead to low pressure. 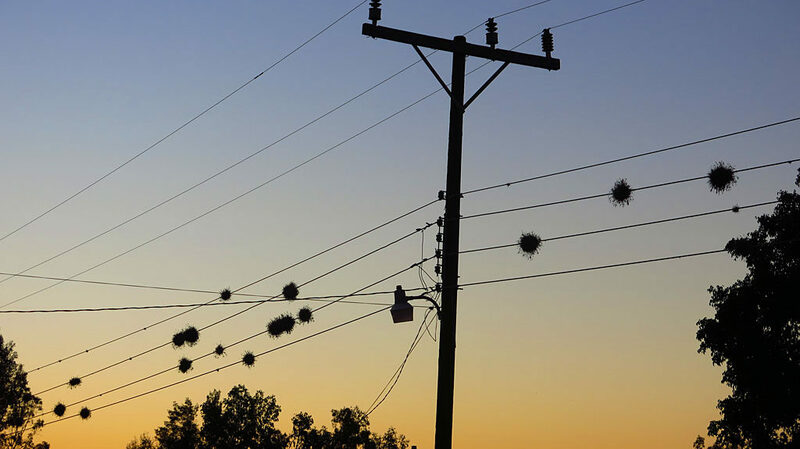 Epiphytic plant balls on the wires of Ciudad Insurgentes. Let’s cut to the chase. 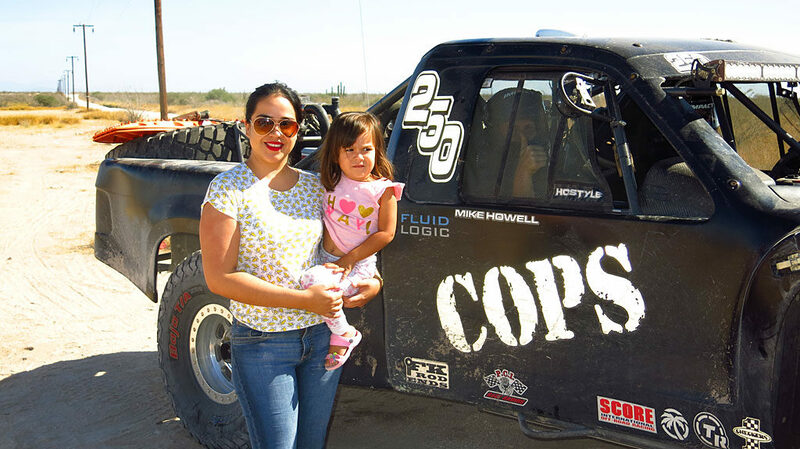 Our race day started on Friday morning at around 2:30 at the BFGoodrich pits near the oasis/farming community of La Purisima. 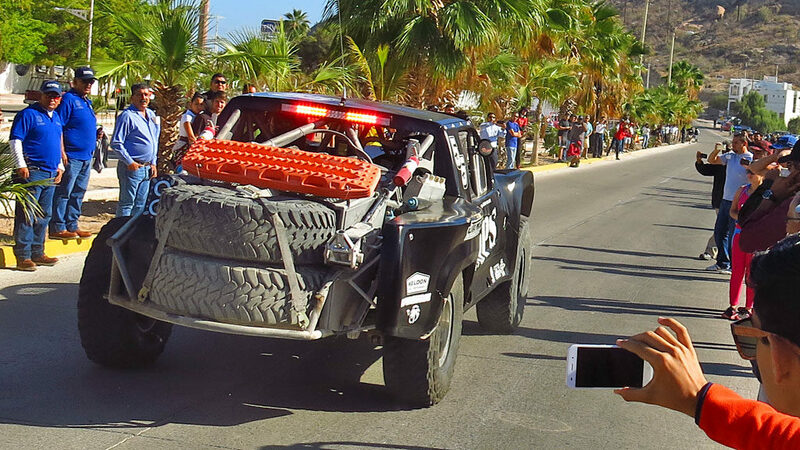 The three COPS cars left the starting line in 750-mile-distant Ensenada, 15 hours earlier. 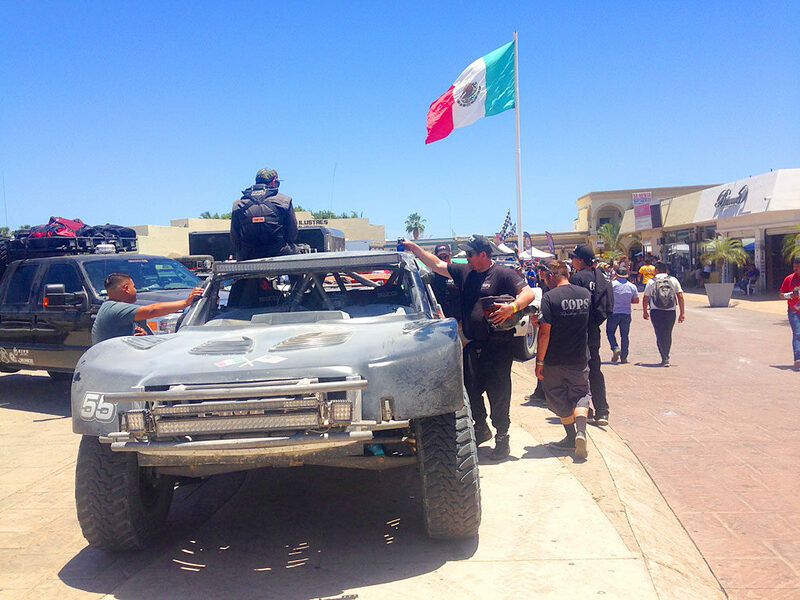 The #150 Class 1 and #50 Trophy Truck DNF’d and would not see Valle T or Loreto, respectively. 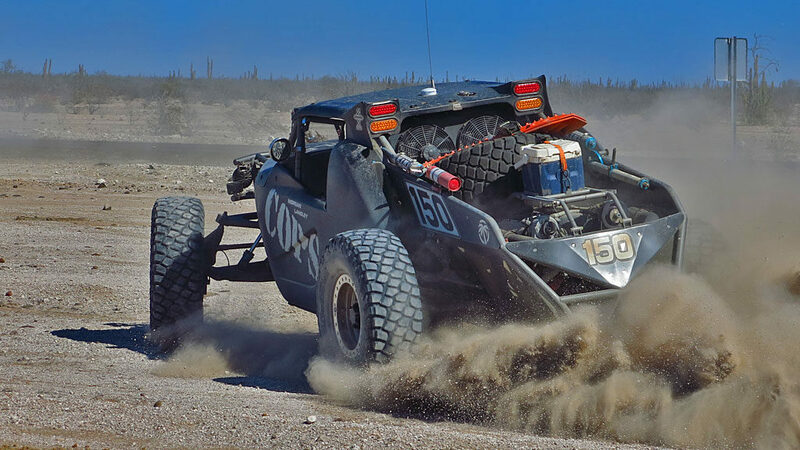 On the other hand, the #250 Trophy Truck Spec was doing well, quite well. The COPS #250, making its inaugural run, takes on fuel at the BFG Pits at Race Mile 750. Steve Hengeveld was a full 20 minutes in front of the #2 guy in class — my timing had to be off. Kash Vessels drove the first third of the race before handing the truck over to Steve. 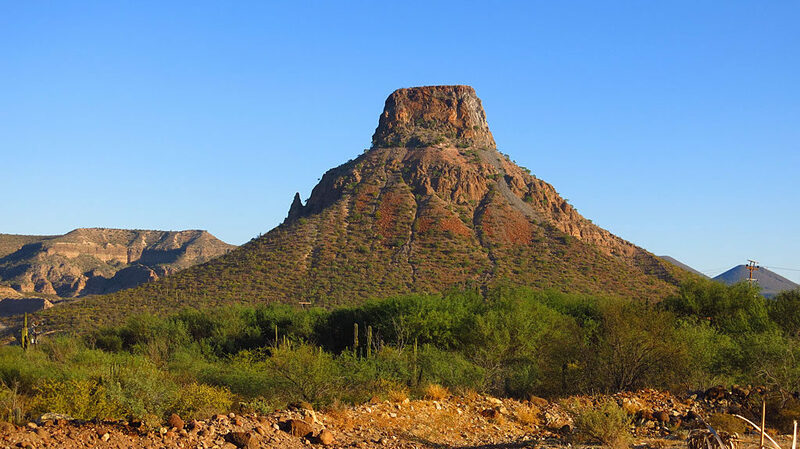 Once he arrives in Loreto, Steve will hand over the driving duties to John who takes it to the finish. Time to pull that damaged front right fender out of short-term memory. The second of only two actual race photos. 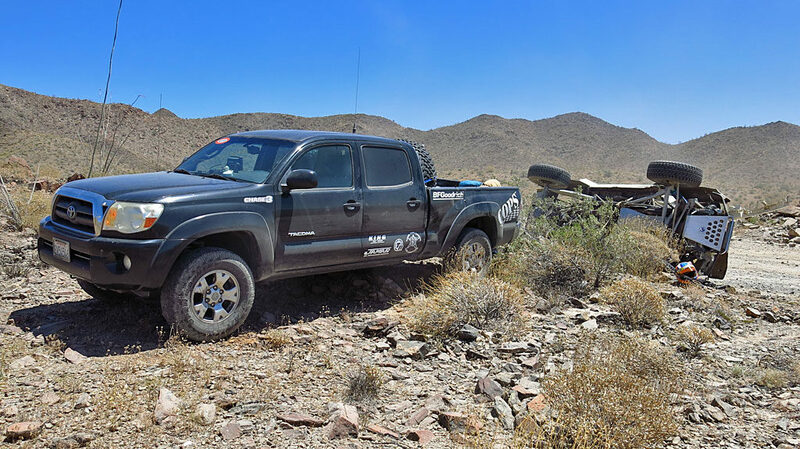 The #250 takes 27 gallons of fuel at the BFG Pits — just enough to get the truck over the mountain and to the driver change in Loreto. The view from the BFG Pits after sunup. 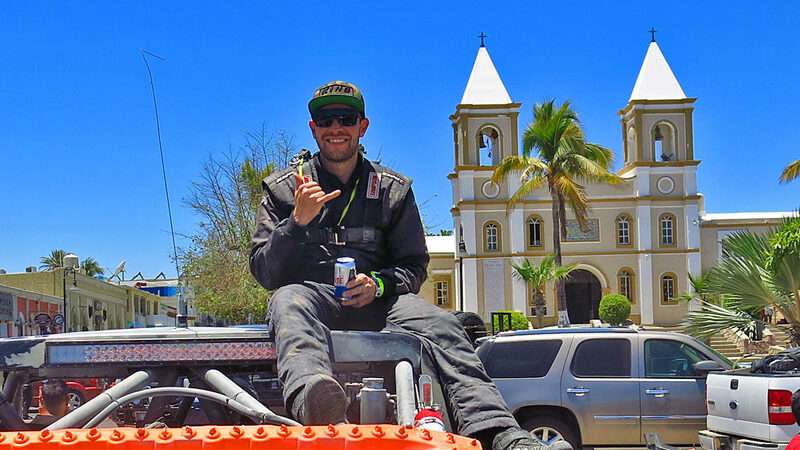 We dashed to the finish in La Paz, but that was after John Langley drove the #250 to a first place finish in class, and 13th overall. 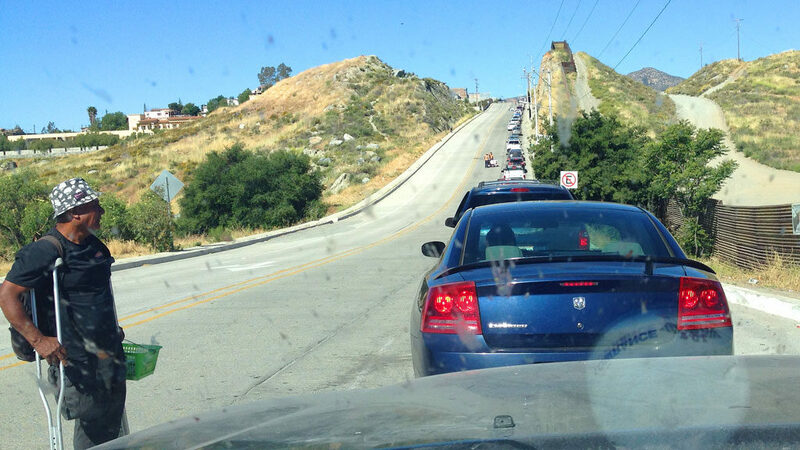 Of the 405 entrants, around 240 finished. We all met at Stella Restaurant for a celebratory dinner on the beach while John chats with the owner of the restaurant. El Señor Vaca Muerta es amigo de Chupacabra. ¡Mierda! 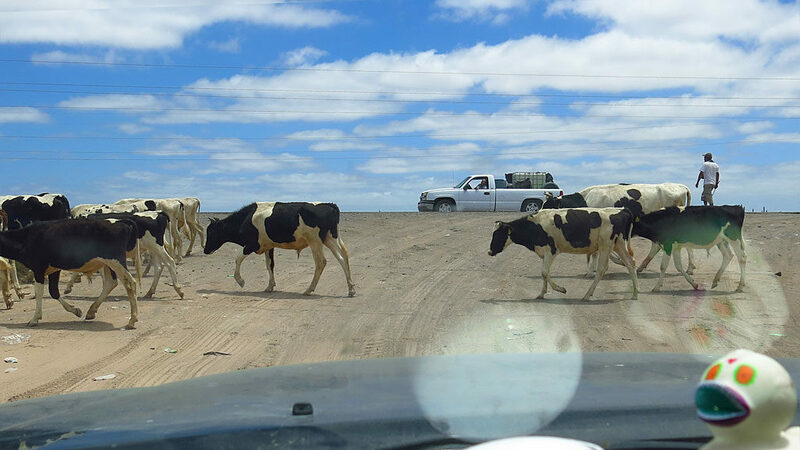 Driving up the peninsula, I came in contact with a cow (no, not Señor Vaca). The cow started walking onto the highway from the left side, but at the last second, thankfully, the cow turned away from me and I only sideswiped him, causing us to take a short, unplanned ride into the desert. 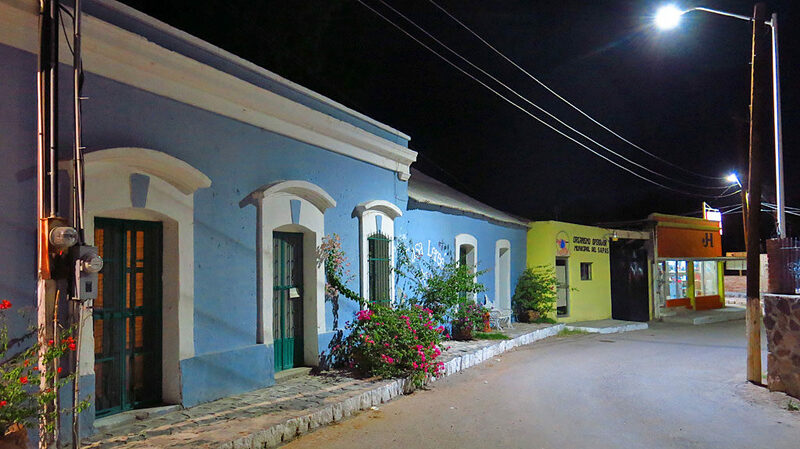 We spent Thanksgiving night in San Ignacio during the northbound trek. Who needs turkey and stuffing when you have fish tacos and a margarita especial? 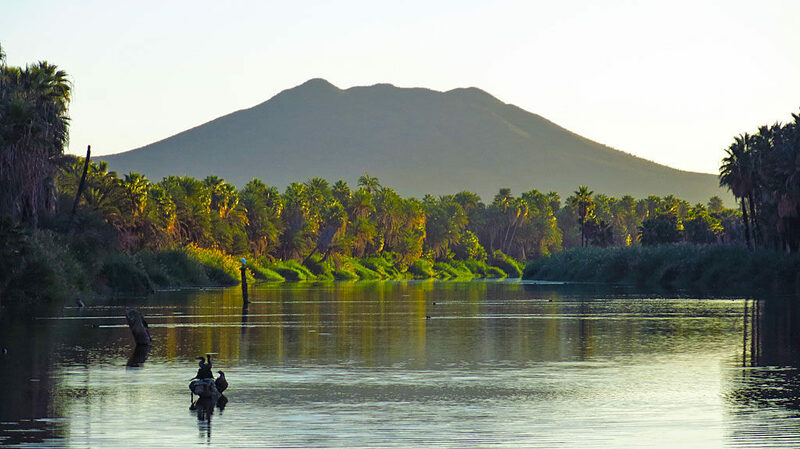 Early morning light on the Rio San Ignacio palms, Volcán las Tres Virgenes in the background. 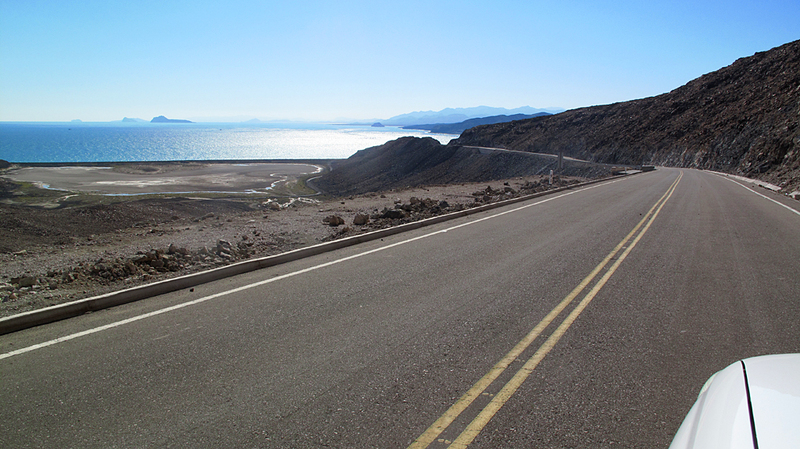 Northbound, at 28º north latitude, passing into the state of Baja California. The race is over. Go home. 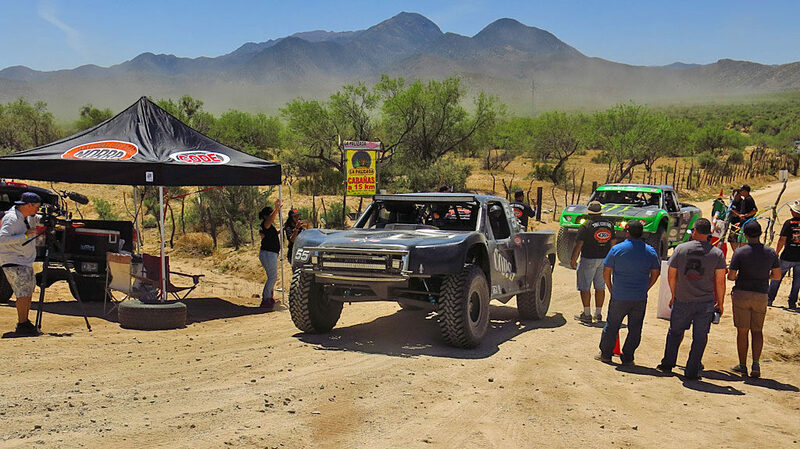 This is the daddy of all off-road races: the Mexican 1000. 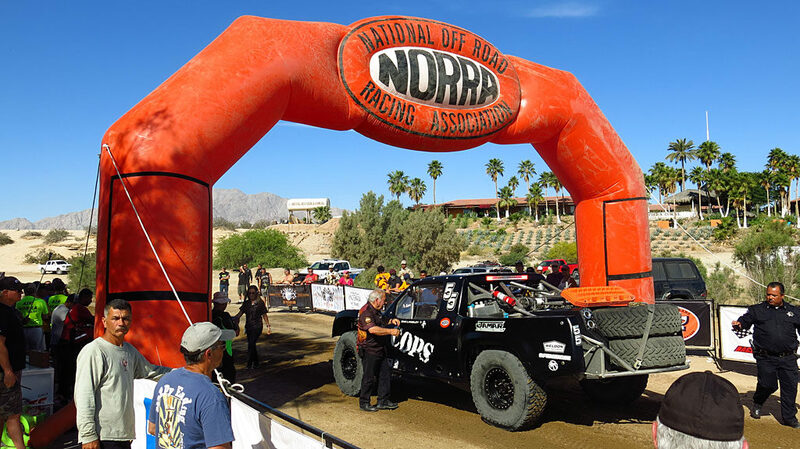 It started exactly 50 years ago by the National Off-Road Racing Association, the first sanctioning body dedicated to off road racing. 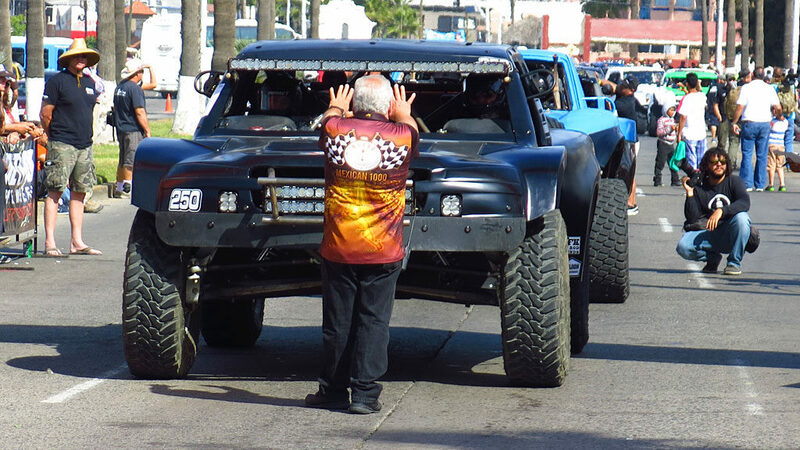 The first event began in Tijuana and finished in La Paz, while this 50th Anniversary running would start in Ensenada and finish in San Jose del Cabo 1,264.10 miles down the peninisula. 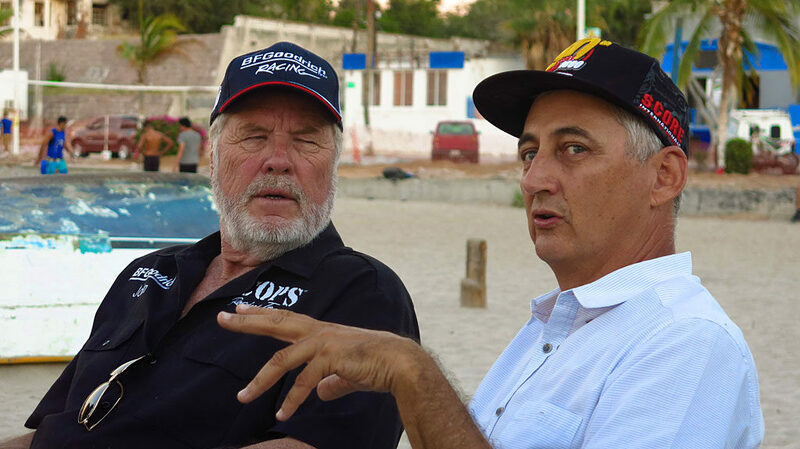 After leaving Ensenada, racers passed through San Felipe, Bay of Los Angeles, Loreto, and then La Paz before the dash to the finish. Start to finish took five days, if you were lucky enough to make it. If you’d like to follow along, here’s a map of course, from top to bottom. Extra-credit reading and videos below the photos. 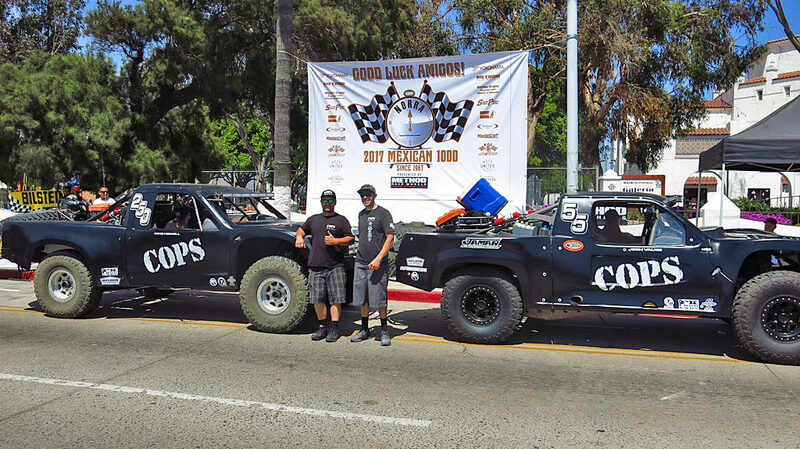 For the 2017 Mexican 1000, COPS Racing campaigned two trucks: Zak Langley and Josh Valko will pilot the #55 Trophy Truck, while somewhere back in the dust, John Langley and Mike Howell will be in the Trophy Spec #250. That’s COPS Crew Chief Mike Meehan with Josh escorting the trucks through Contingency and Tech. 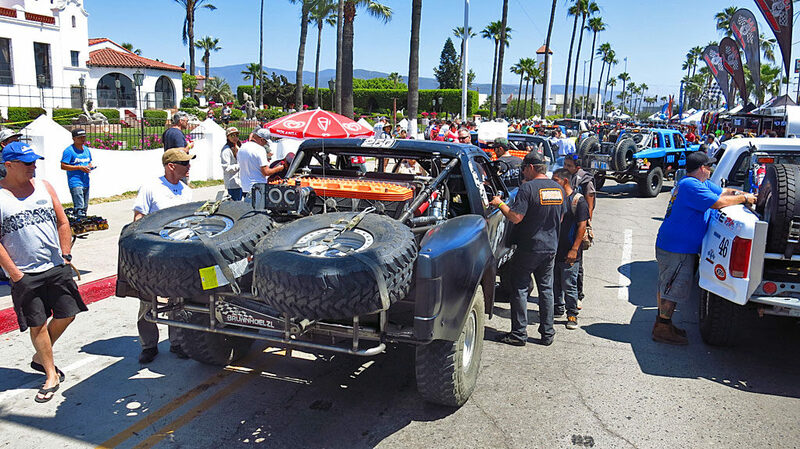 As with many races, Contingency Row and Tech Inspection were held in front of the Riviera Cultural Center in Ensenada. 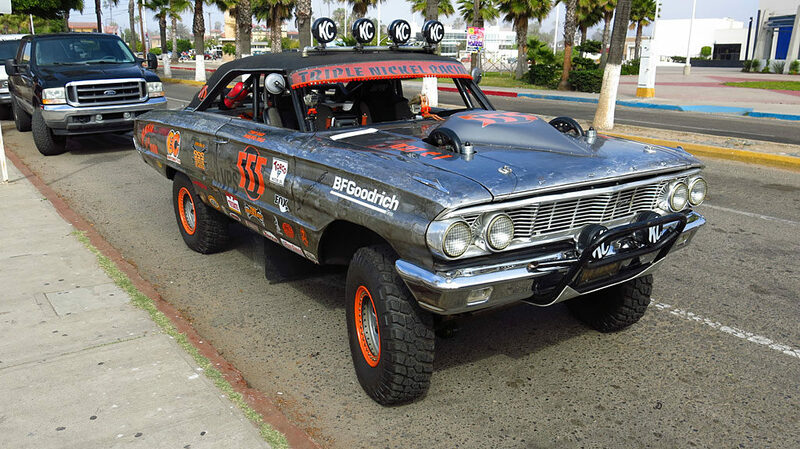 Rene Aguirre was piloting Triple Nickel Racing‘s El “Galaxia de la Baja,” a 1964 Ford Galaxie competing in the Vintage Production Cars Class. He saw the finish in San Juan. 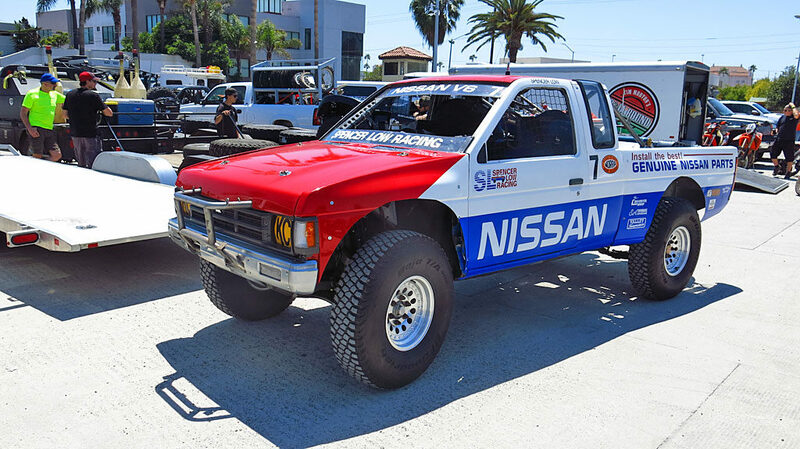 Spencer Low’s 1988 Nissan King Cab. Dennis signs John’s autograph on an over-served, and over-friendly local. Jon Steinhilber and Joe Lowery drove their 1965 Meyers Manx in the Pioneer Era Class (1967 – 1975). 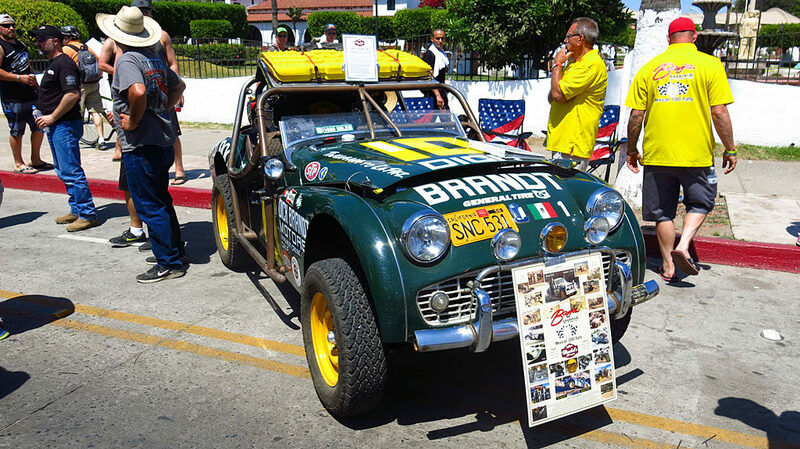 This 1959 Triumph TR3 was in the first NORRA Mexican 1000 50 years ago, but DNF’d after breaking a crankshaft near Santa Ynez. 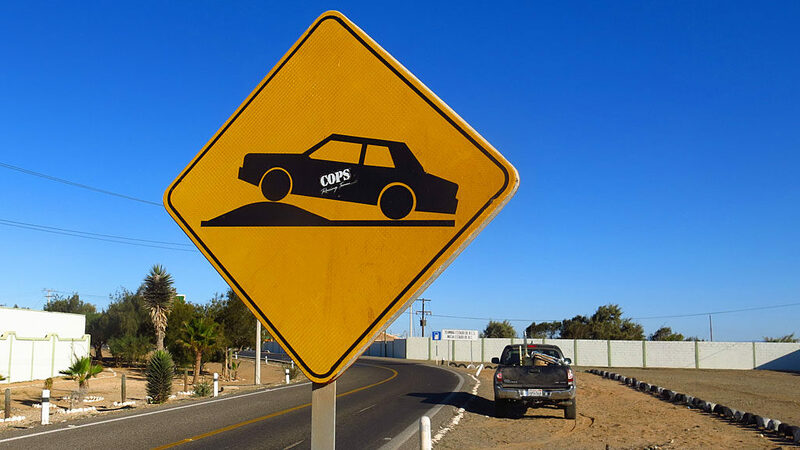 This year, the car saw the checkers in San Jose del Cabo. 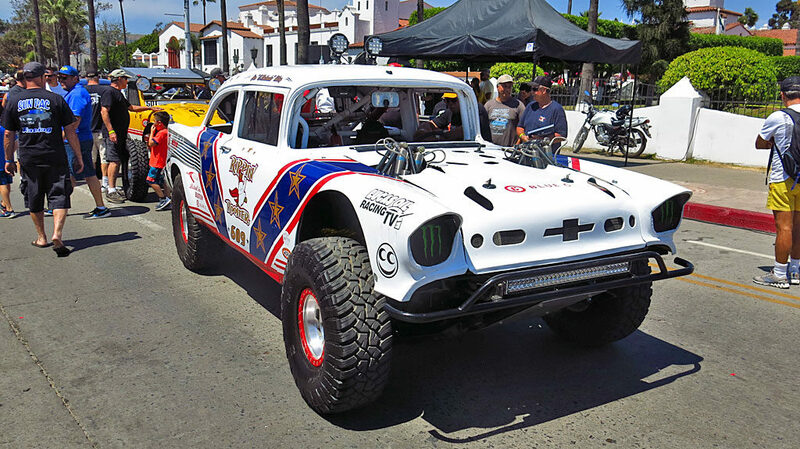 A ’57 Chevy Bel Air in a 1300 mile Baja race? Sure, why not. The #609, aka the Rippin’ Rooster, was a fan favorite originally built and raced by Larry Schwacofer more than 30 years ago. 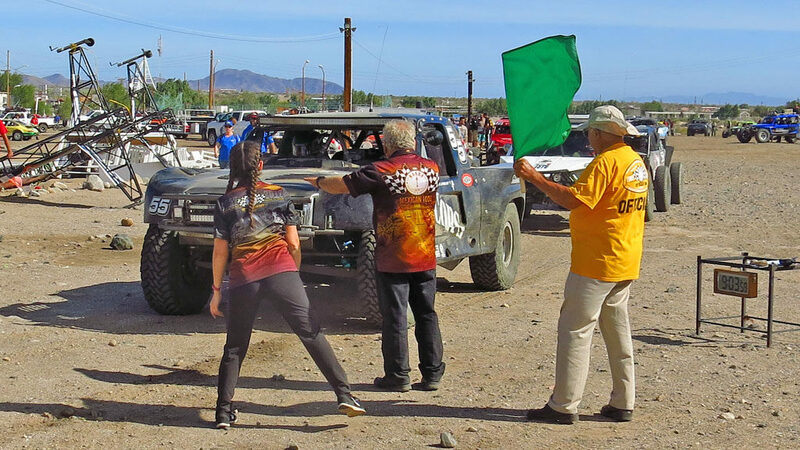 NORRA President Mike Pearlman signals John that he has 10 seconds until his start. It was Mike’s dad, Ed, who started this race 50 years ago at the same spot. Number 55 ends a 117-mile race section near Mike’s Sky Ranch to begin a Transit on Highway 3 to the northern end of El Diablo dry lake. George flags in #250 for a brief pit stop near San Matias. Co-driver Mike exits the truck while the #250 is fueled. The first day of racing was uneventful — the way we like it. 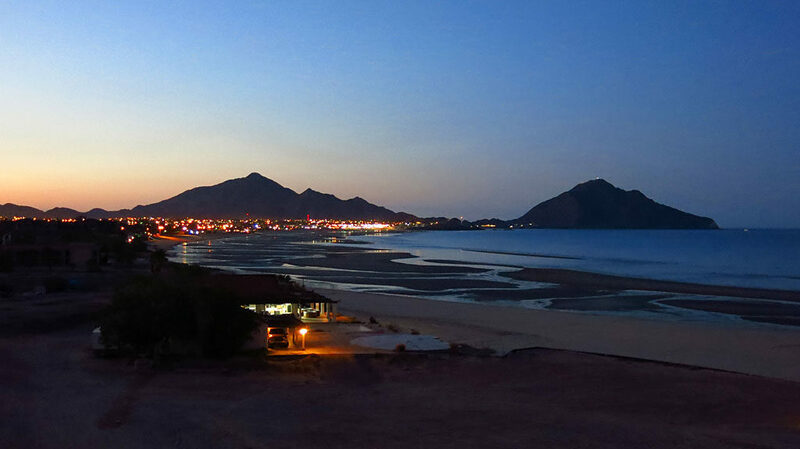 Night time consumes San Felipe on the Sea of Cortez. 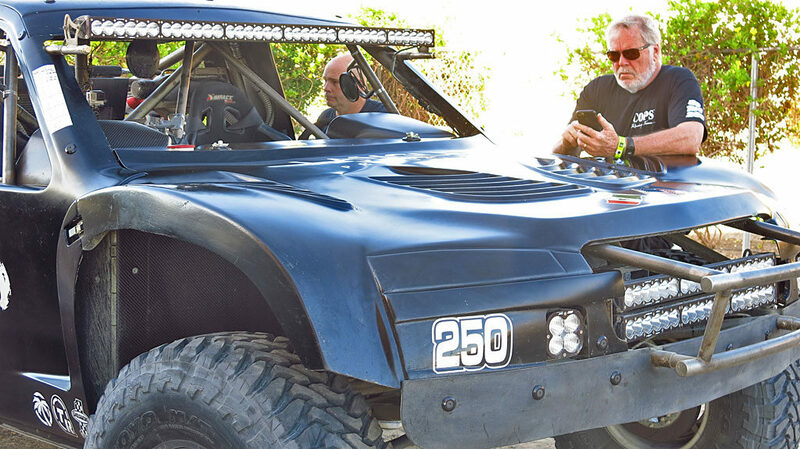 Early morning, John and Mike are going over their truck. John was noticeably antsy — he was anxious to get to the starting line. 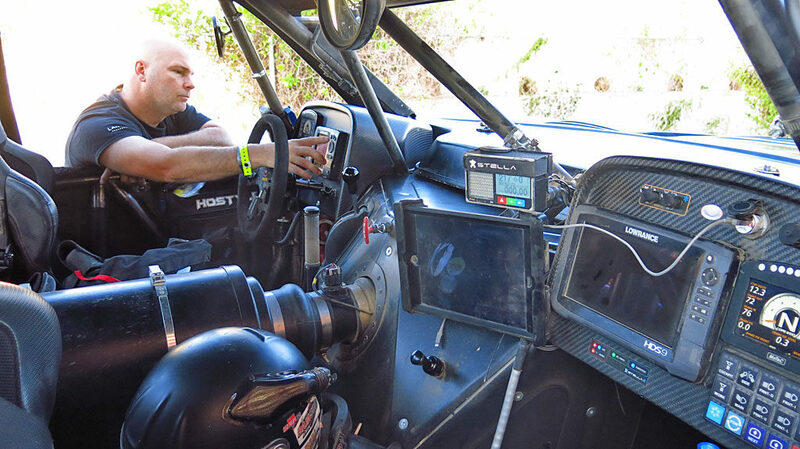 Inside the #250’s cockpit, Co-driver Mike makes last-minute adjustments to John’s GPS. 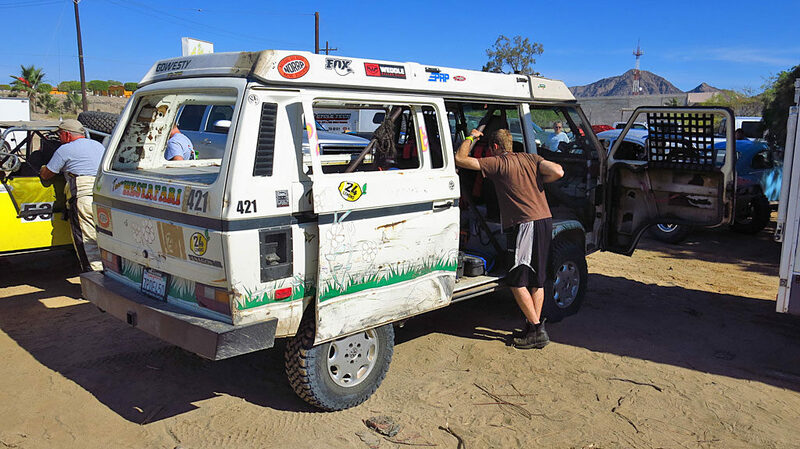 One of the competitors in the 1000 was a 1987 Volkswagen Vanagon in the RV Class, which just returned with a win at the 24 Hours of Lemons. Starting in the fifth position, Zak gets final instructions from Mike Pearlman. 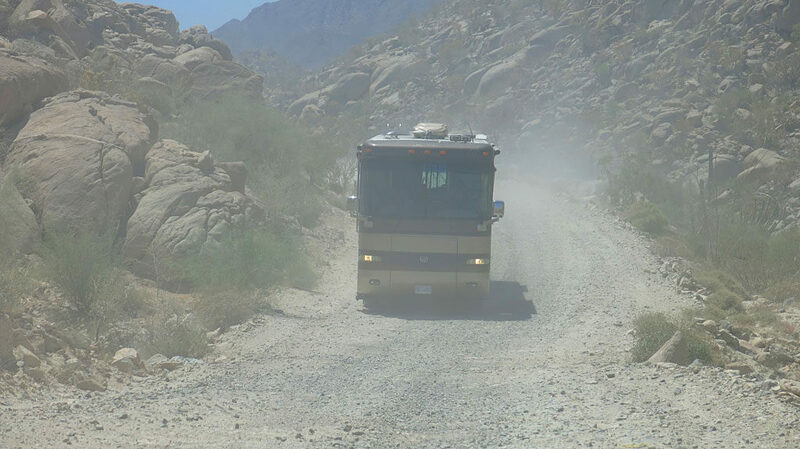 South of San Felipe, the race course followed a dirt section of Mexican Highway 5. We met people out there, who I’d wager, did not know a race was underway. The entire team was housed at “The Castle” overlooking the Bay of LA. 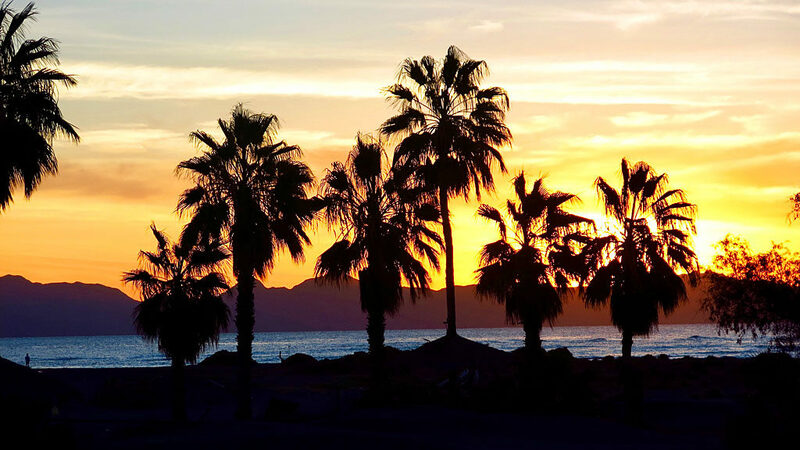 End of day in Bahía de los Ángeles. Any sleep anywhere, is good sleep. 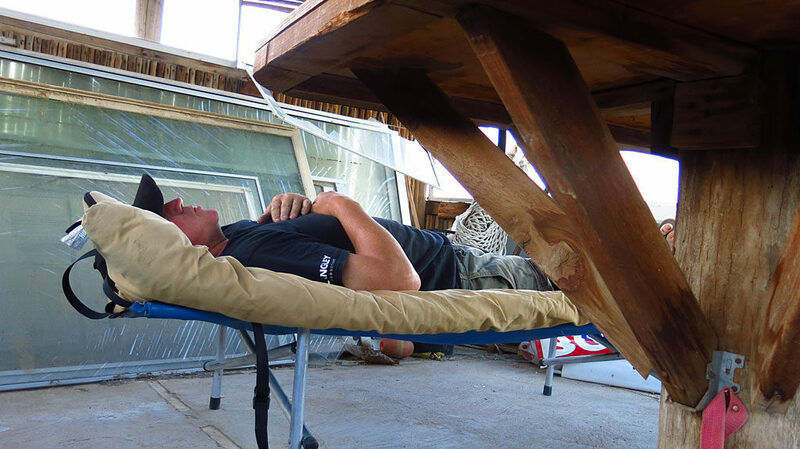 But with overnight, near-hurricane-force winds, sleeping was a noisy challenge at best. 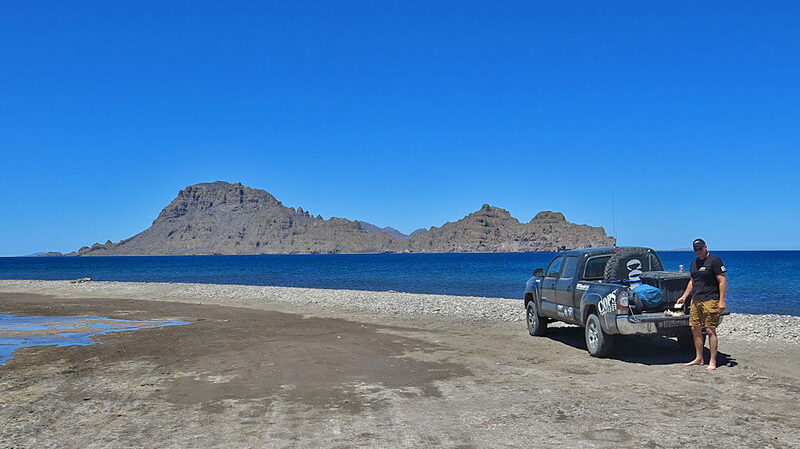 Zak leaves the line in the Bay of LA; destination Loreto in Baja California Sur. 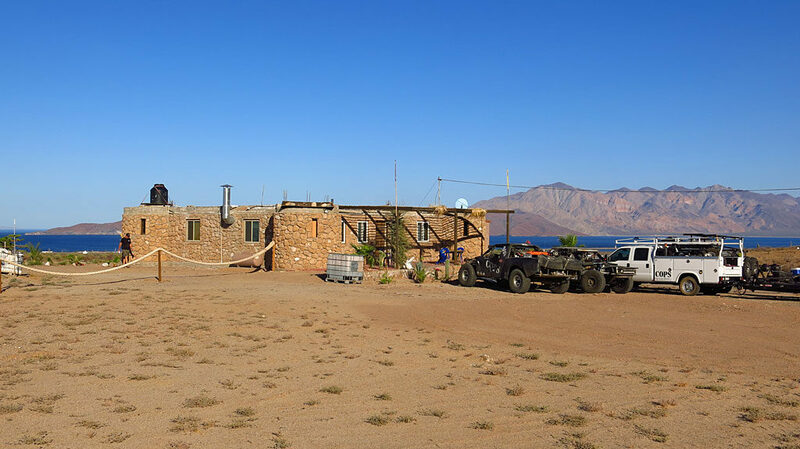 Due to logistics, this was the last time we saw the trucks or team until we arrived in Loreto. Once in Loreto, there was in impromptu pow wow in the hotel parking lot. 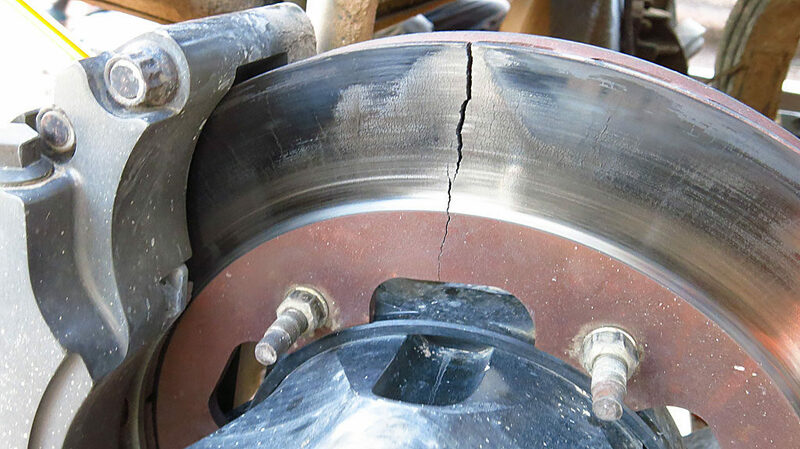 High temperatures created brake rotor issues — they were identified and fixed. Dennis and Josh make repairs to the #55’s rear fender hanger which was severely damaged during a tire blow-out. Then the Shinola hit the Westinghouse. The #250 drove into a Grand Canyon-sized rain rut which hurdled them off the road, breaking tie rods and the rack-and-pinon steering. One of the #250’s rescue trucks hit a cavernous pothole on Highway 1, which fatally damaged its steering. At 10:30 pm, we received a text from Zak asking us to help in the rescue effort — we were looking at a four-hour commute to the Pacific side of the peninsula. Meanwhile, only minutes before the start in Loreto, the #55’s starter failed causing a one-hour delay in starting the race, knocking Zak from around fifth place to near 25th. We arrived at the #250 at first light Wednesday morning. 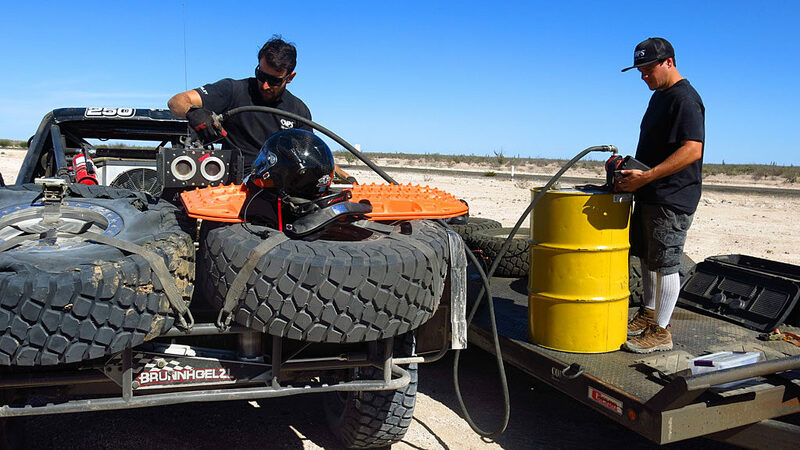 The plan was to swap broken parts with parts that almost fit — it could then be limped five miles back to the trailer. Mike, Mike, and Steve work on repairing the #250. It’s always handy when you can lift the fiberglass hood off the truck and put it somewhere out of your way. Highway 1 heading south from San Juanico (Scorpion Bay) to Ciudad Insurgentes where we could catch up with the day’s race in progress, broken truck in tow. 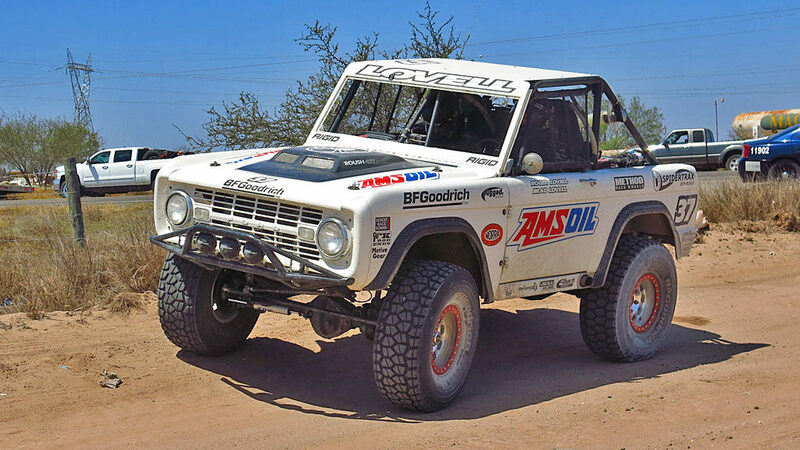 Waiting for his time to start, Roger (aka Royer) Lovell is running his 1968 Ford Bronco in the Vintage Short Wheelbase 4×4 Class. 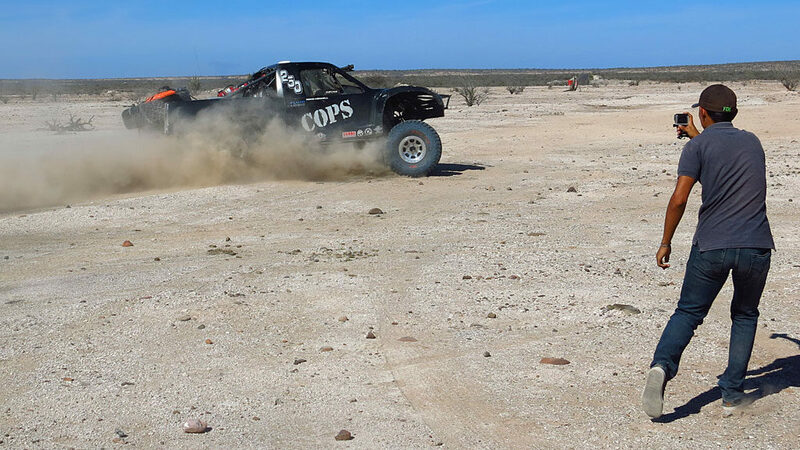 The COPS Trophy Truck begins a Special Section just south of Ciudad Constitucion. Next stop in 200 miles, La Paz. Zak and Josh depart La Paz for a final day of racing. A mile from the finish, the driver’s-side rear brake caught on fire, and neither Zak or Josh were aware of it until they arrived on the podium and a hundred guys came running at them with fire extinguishers. 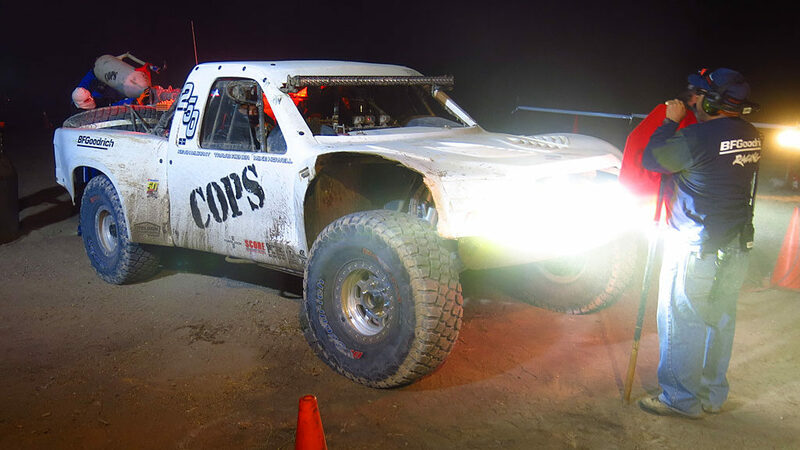 The COPS Racing #55 finished sixth in class and 15th overall. 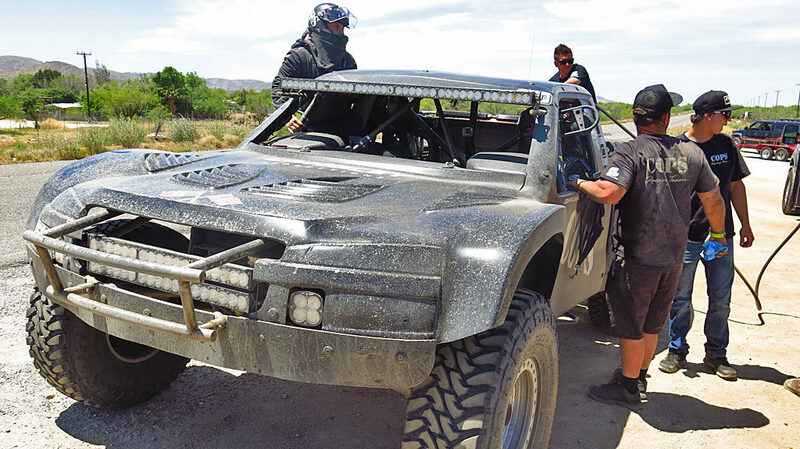 Cameron Steele cinched the overall win in his Geiser Trophy Truck — congratulations to all! After the checkers — time for a beer and taco. Or two. 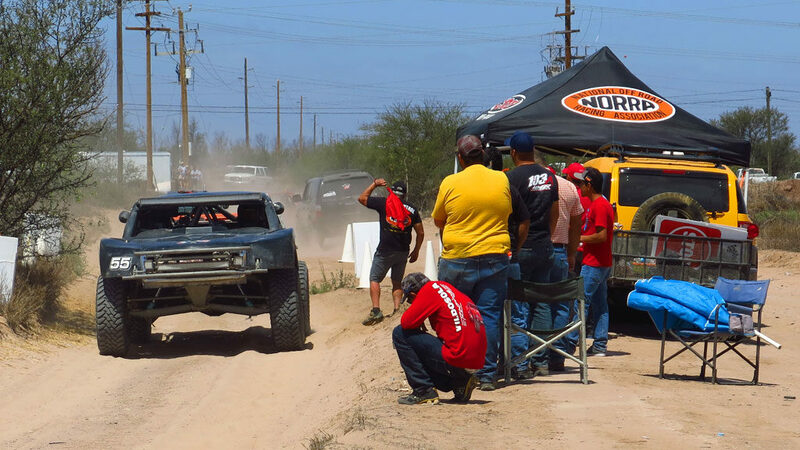 Josh Valco handled co-driver duties in the #55 for the entire 1,264.10 miles of the Mexican 1000. 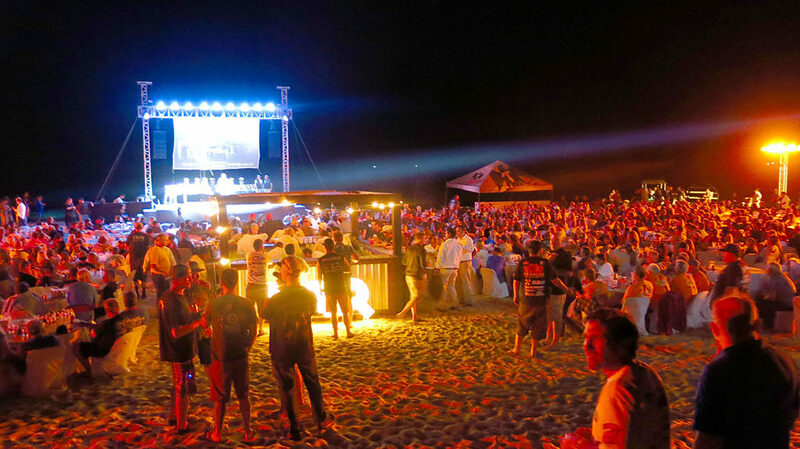 The NORRA closing party was held on the beach at the Club de Playa Campsesre. 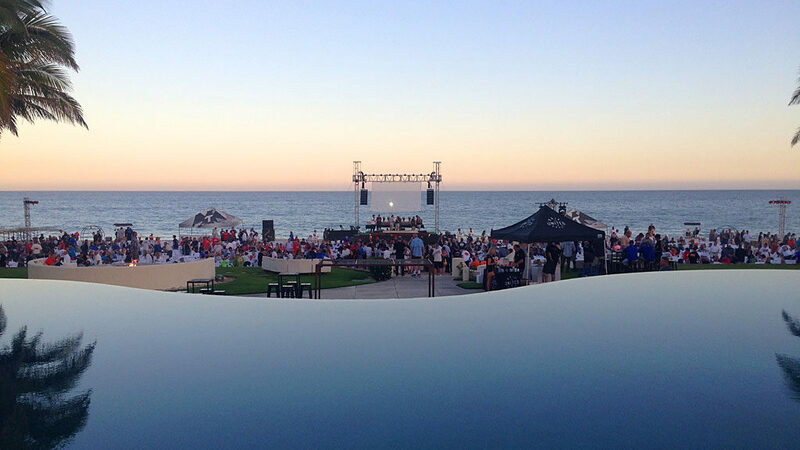 There was music and food and drink along with a spectacular view of the Pacific. 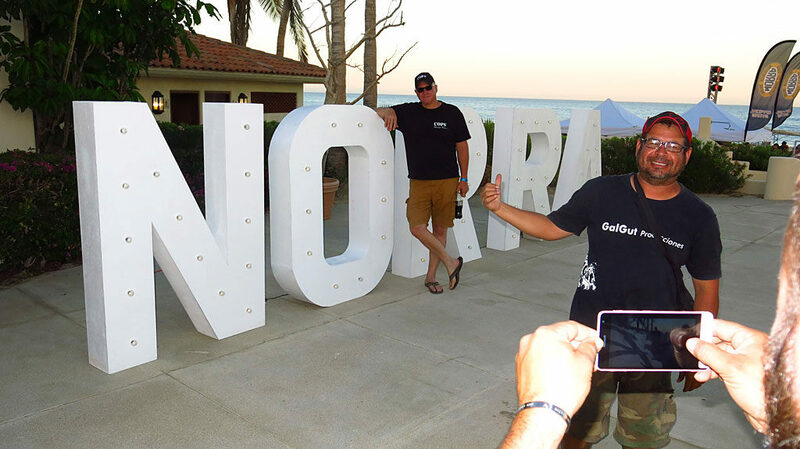 Steve attempts to get a photo by the really big NORRA sign. 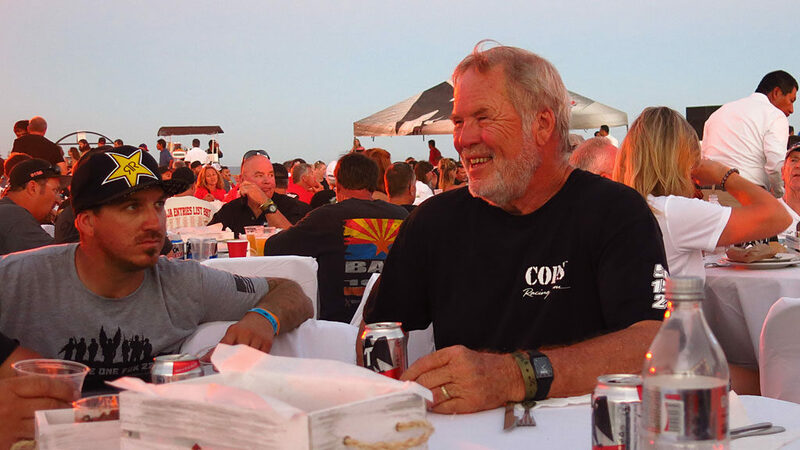 COPS Racing Team Owner, John Langley happy with the results of the #55. The COPS Racing table was conveniently located next to one of the bars, and very close to the awards stage. The race is over, so Friday morning we all pack up and start the trek back north — it will take three full days of driving to get home. 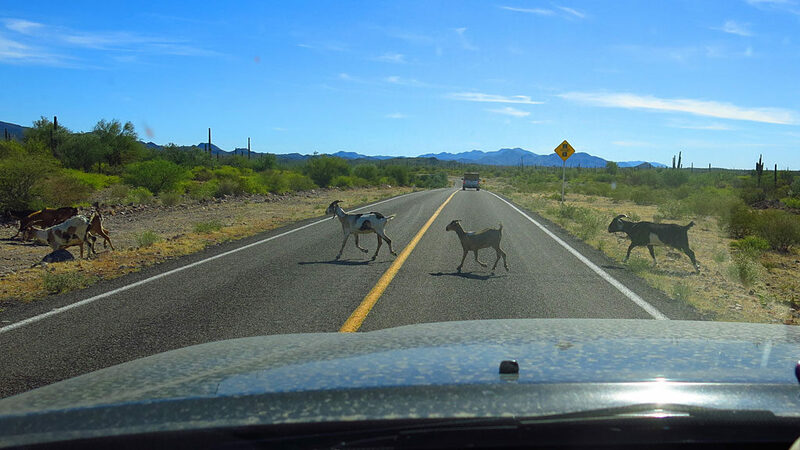 This is Baja, so this must be a vaca crossing. We’re heading north quickly, but stop for a tailgate lunch on the beach at Ligüí. 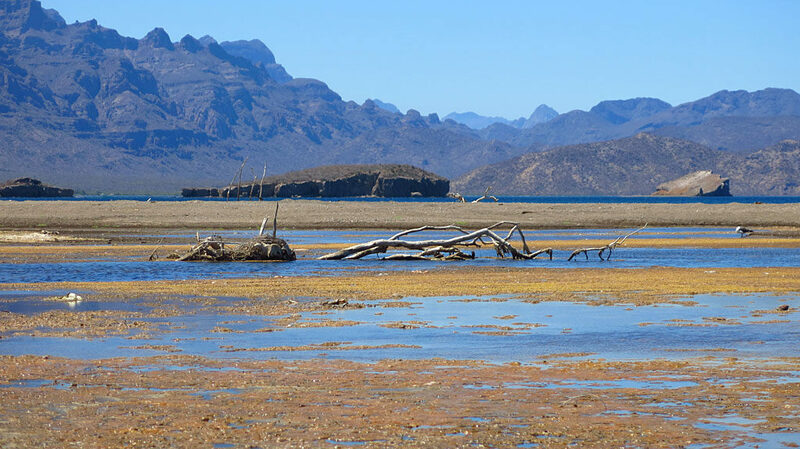 Looking north across Estero Ligüí — the dark blue Sea of Cortez is distant. 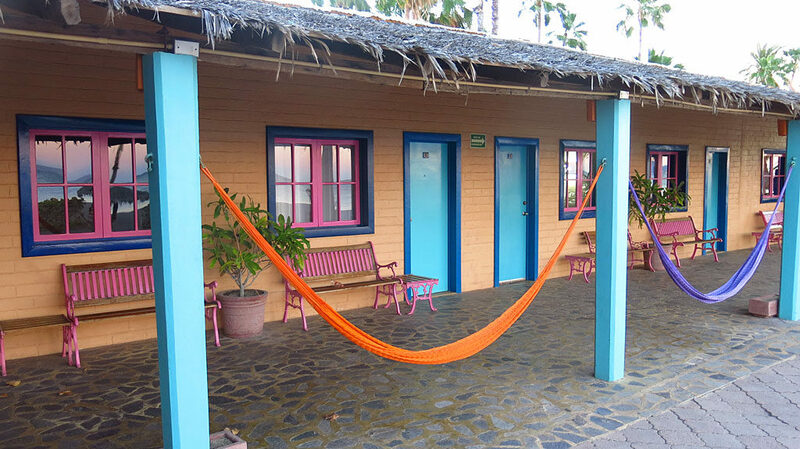 When in Loreto, we like staying at the always awesome Oasis Hotel, home of the world’s best margaritas. 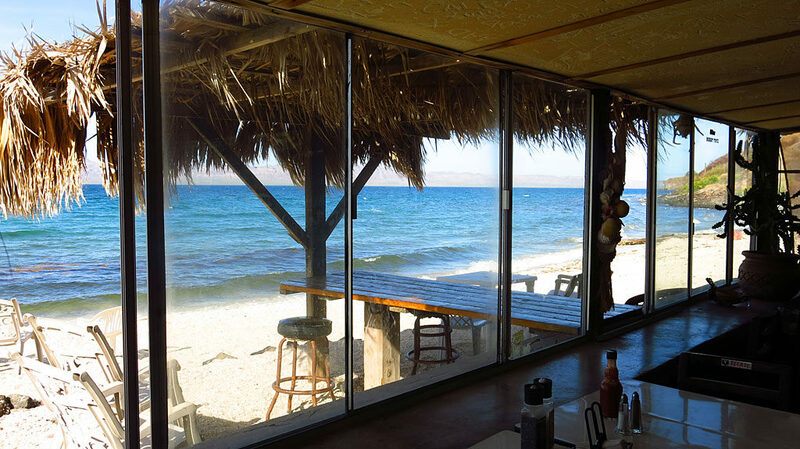 A quick stop for fish tacos at Buenaventura on Bahia Concepcion. A tradition. 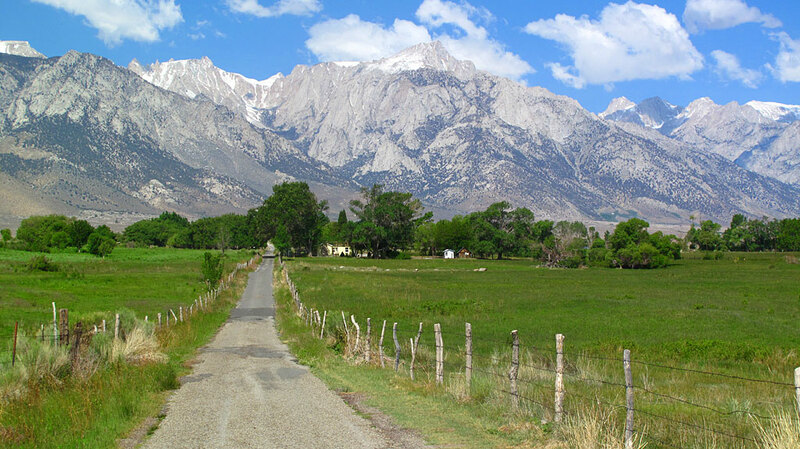 Lubken Canyon Road, Owens Valley. 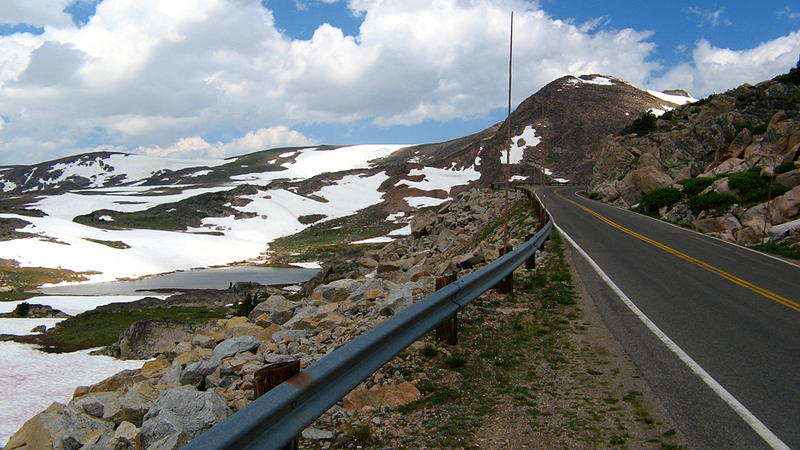 Beartooth Pass, Montana in July, a little over 11,000′ elevation. 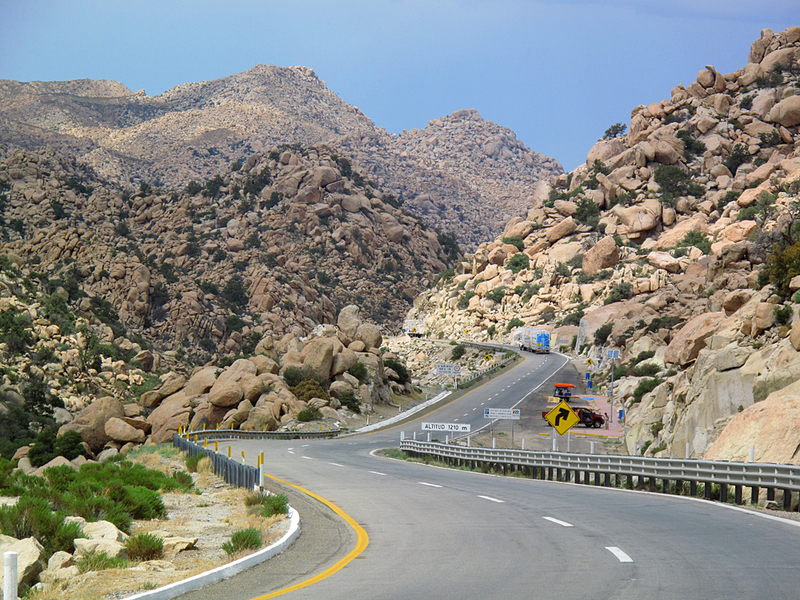 Highway 5 near El Huerfanito, Baja California. 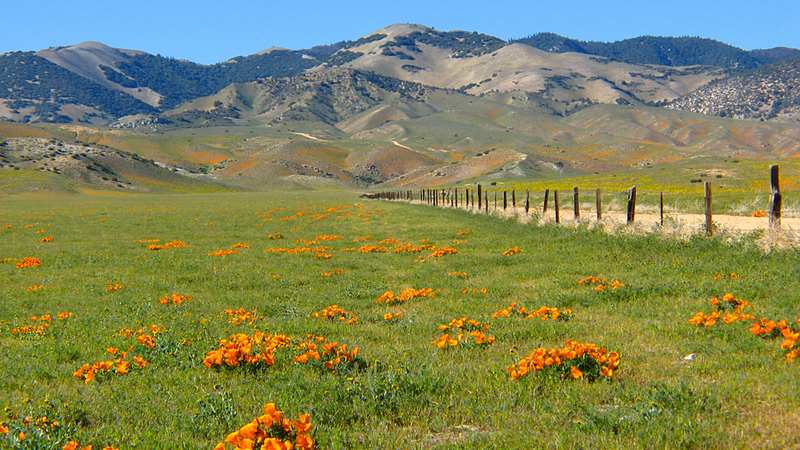 California Poppies near Highway 138 in Neenach, California. 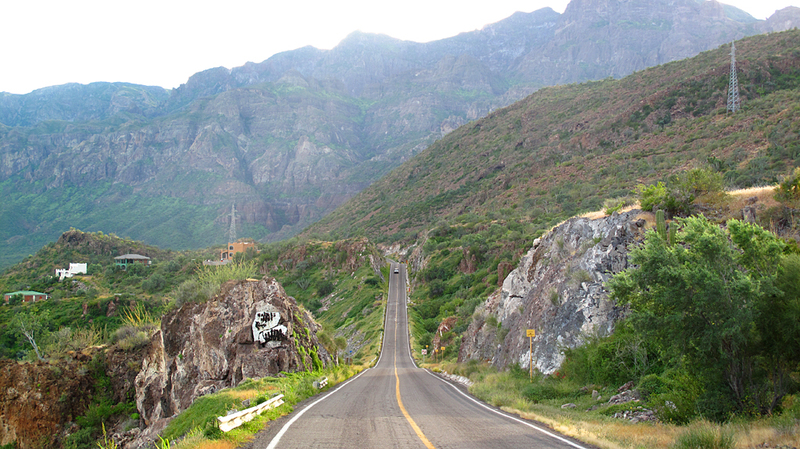 Mexico Highway 1, Baja California Sur. 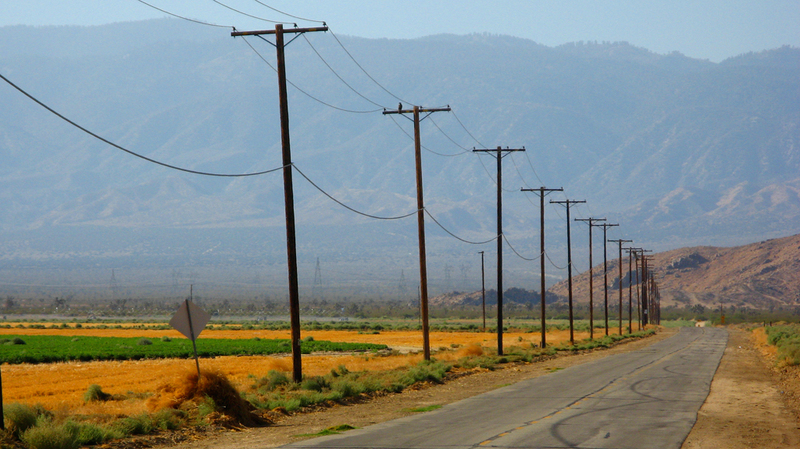 A pole line in Antelope Valley, California. 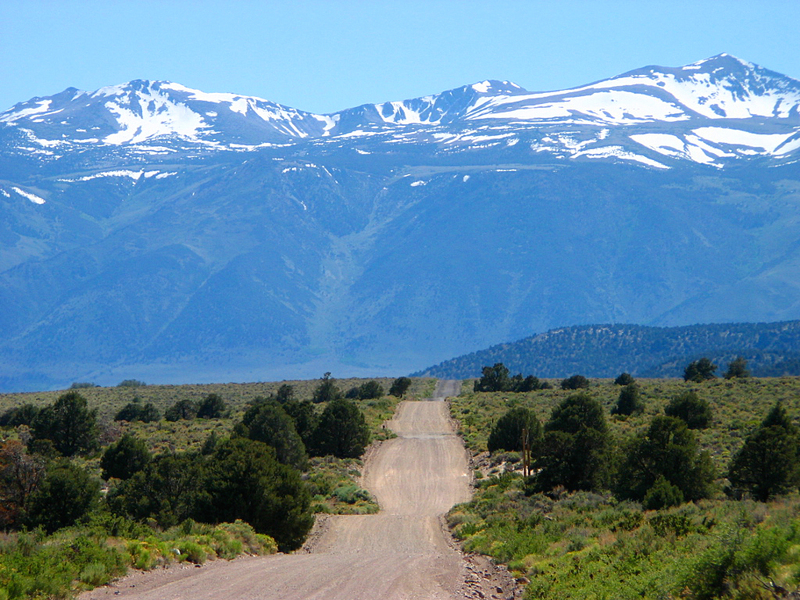 Goat Ranch Cutoff, near Mono Lake in the Eastern Sierras. 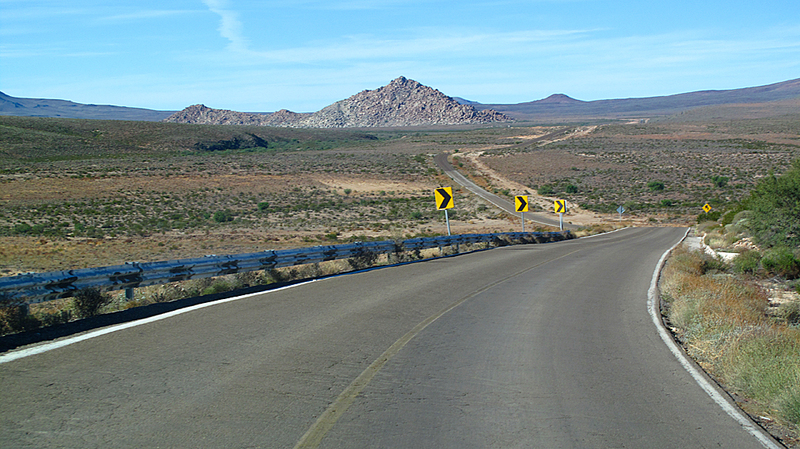 Eastbound lanes of Mexico Highway 2 near La Rumorosa. 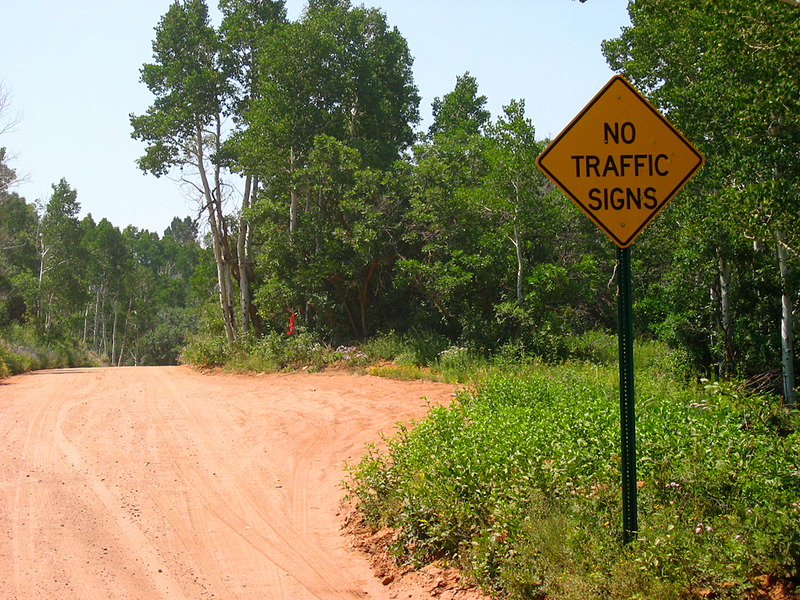 A real, non-Photoshopped sign in the Colorado National Monument, near Grand Junction. 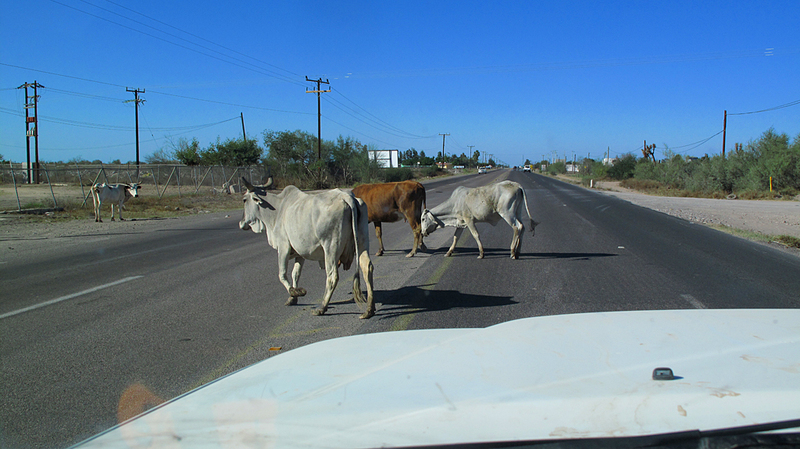 Cows, in no particular hurry, crossing Mexico Highway 1 near Ciudad Constitución, Baja California Sur. 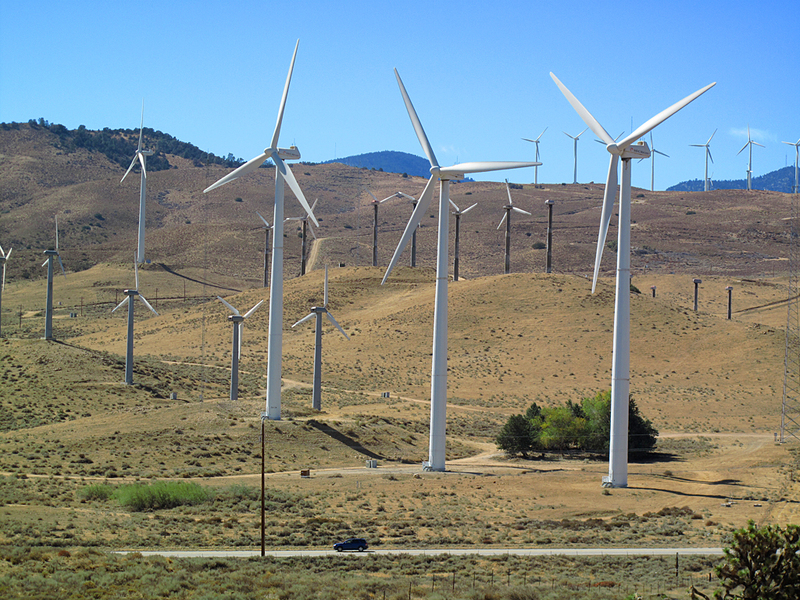 Wind turbines towering over Oak Creek Road, near Mojave, California. 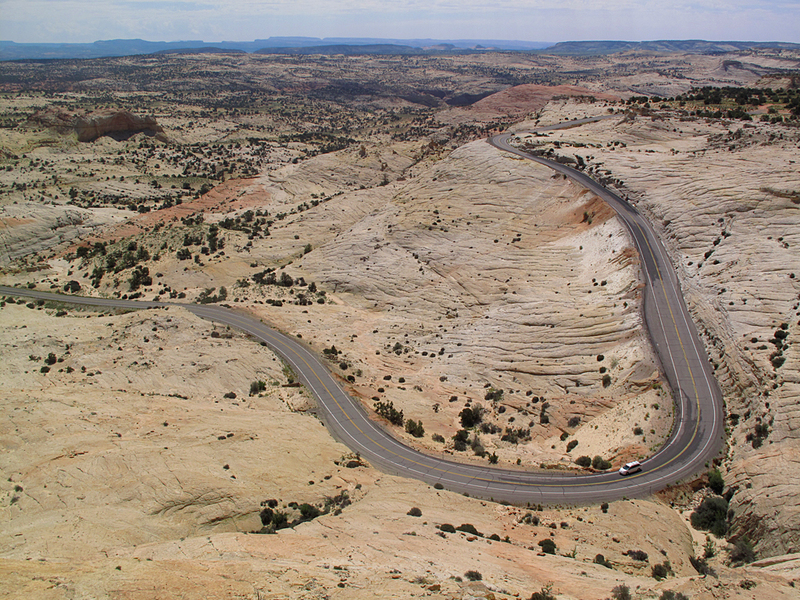 Highway 12 passing through the Grand Staircase-Escalante National Monument in Utah. 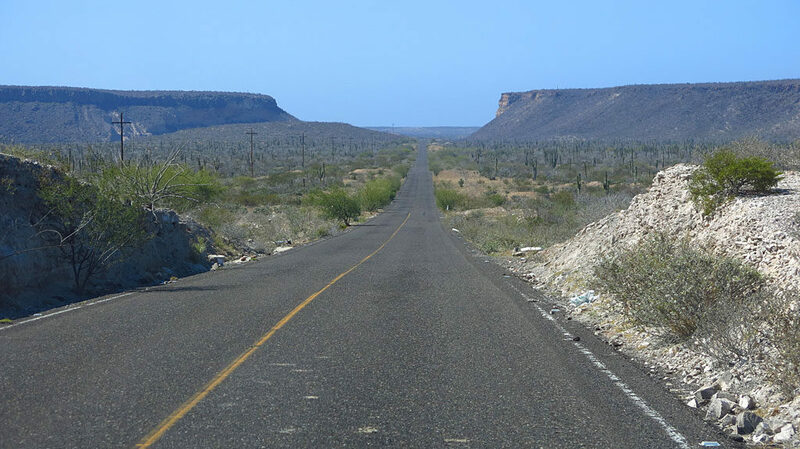 Mexico Highway 1, near San Agustin, Baja California. 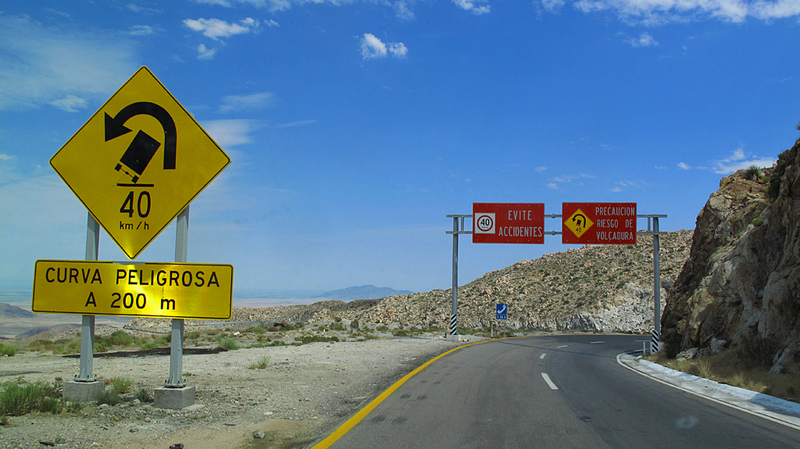 Starting down the eastbound lanes of Mexico Highway 2 near La Rumorosa.